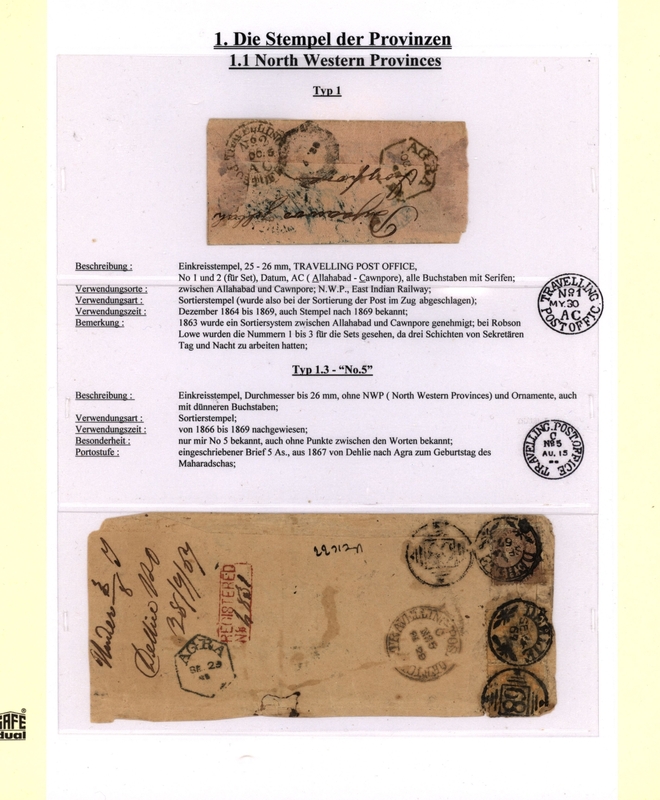 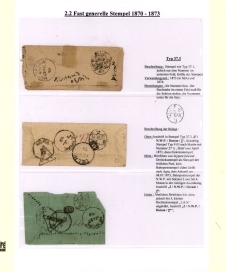 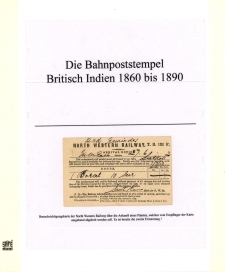 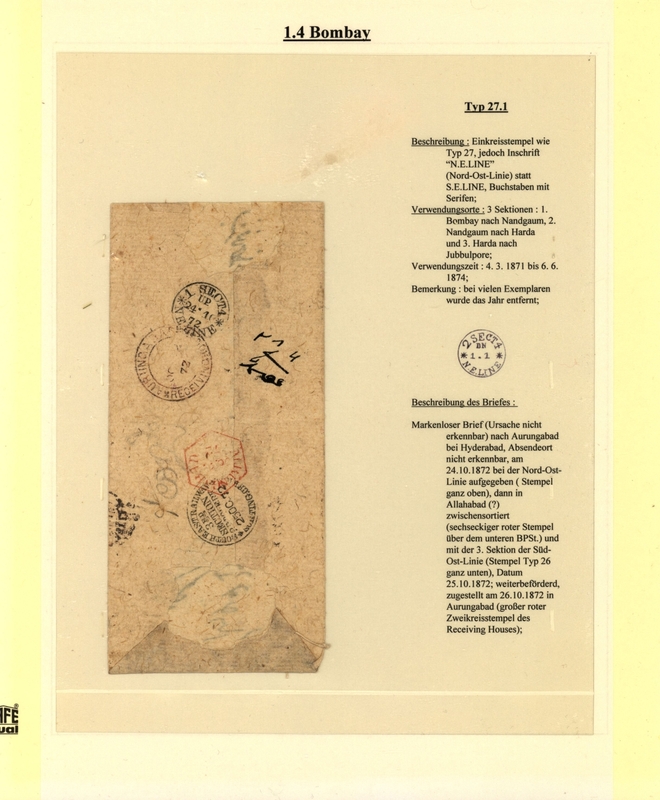 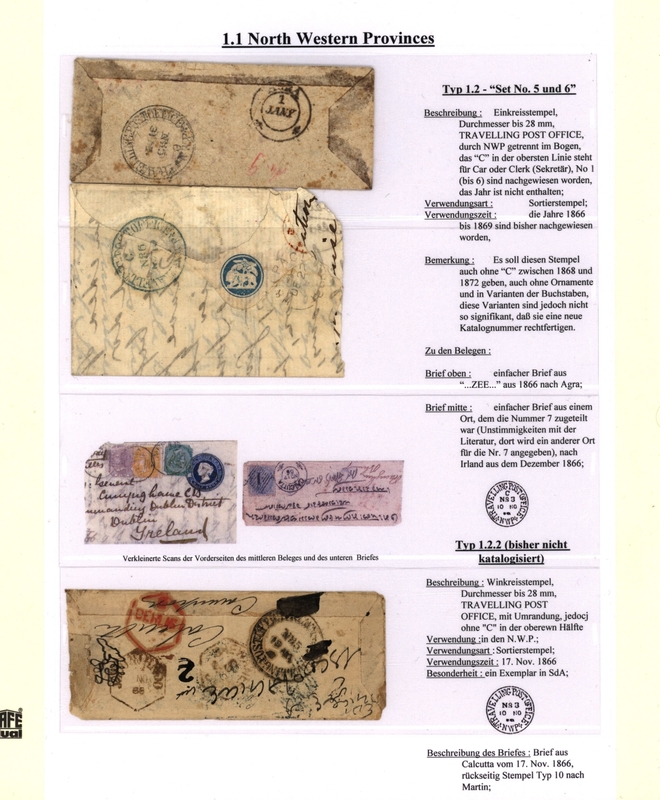 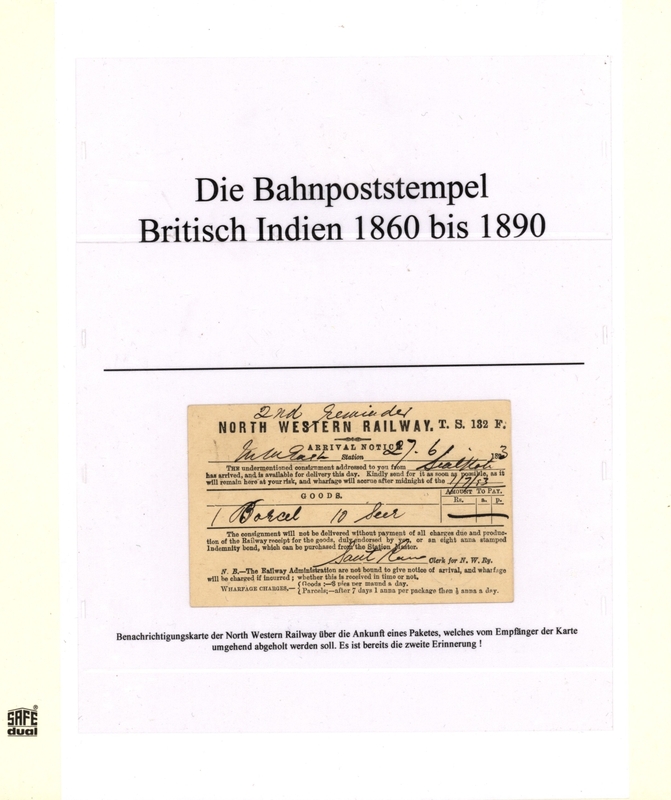 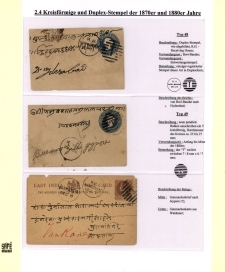 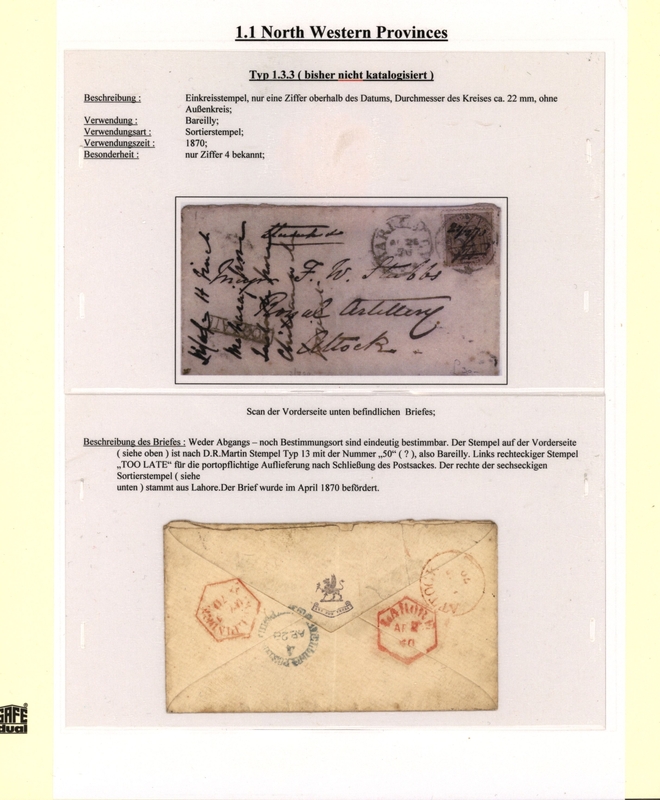 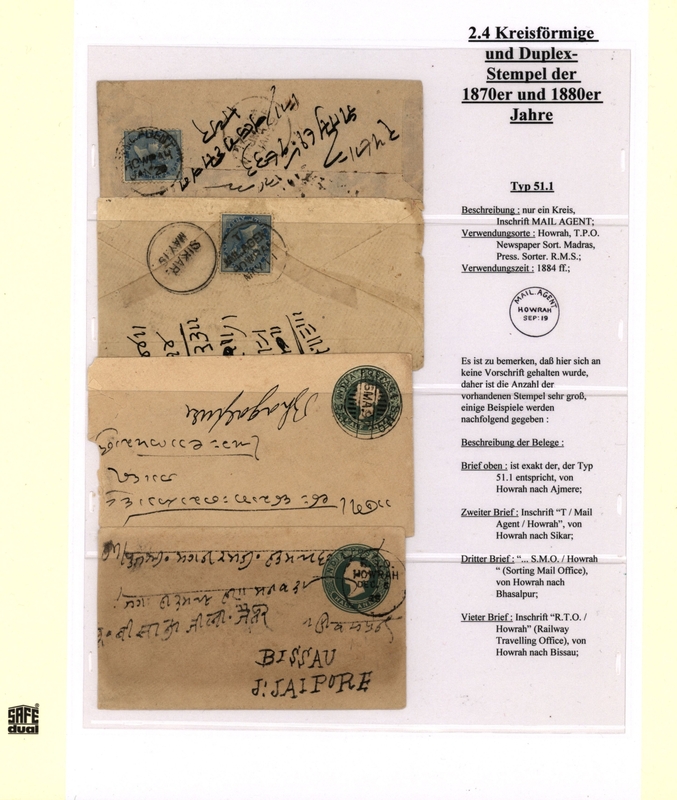 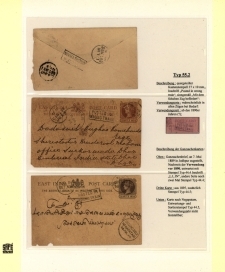 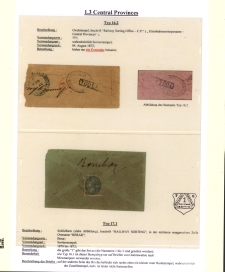 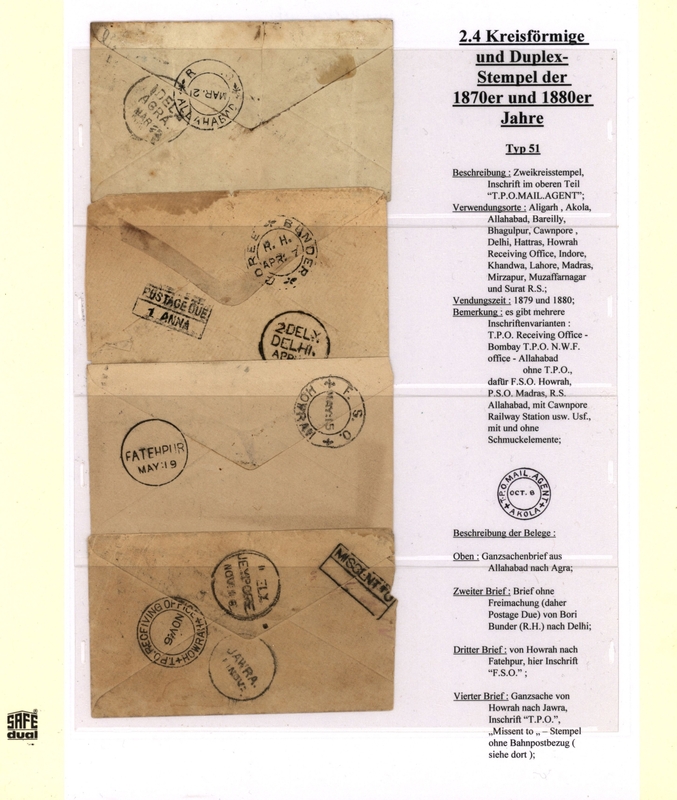 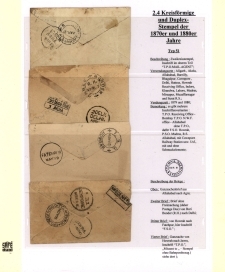 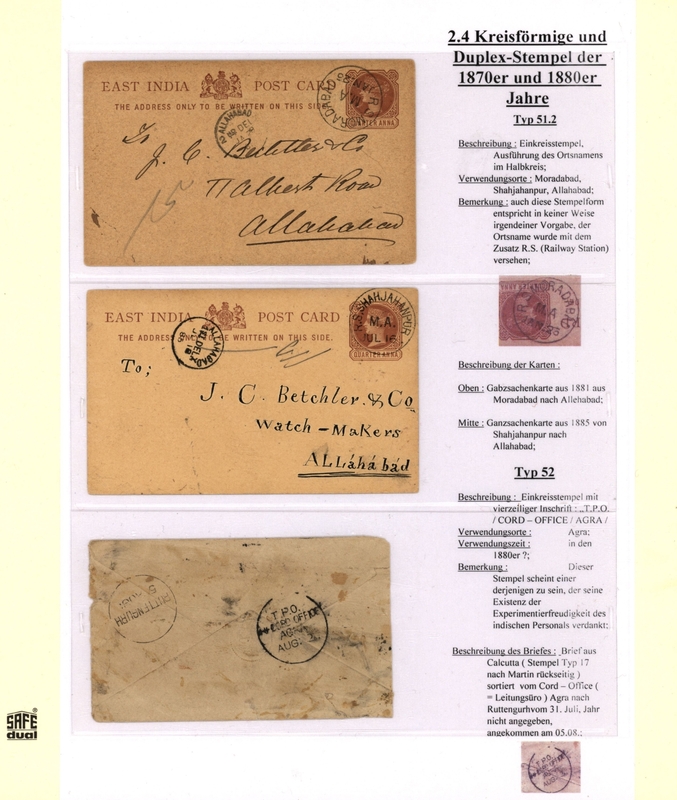 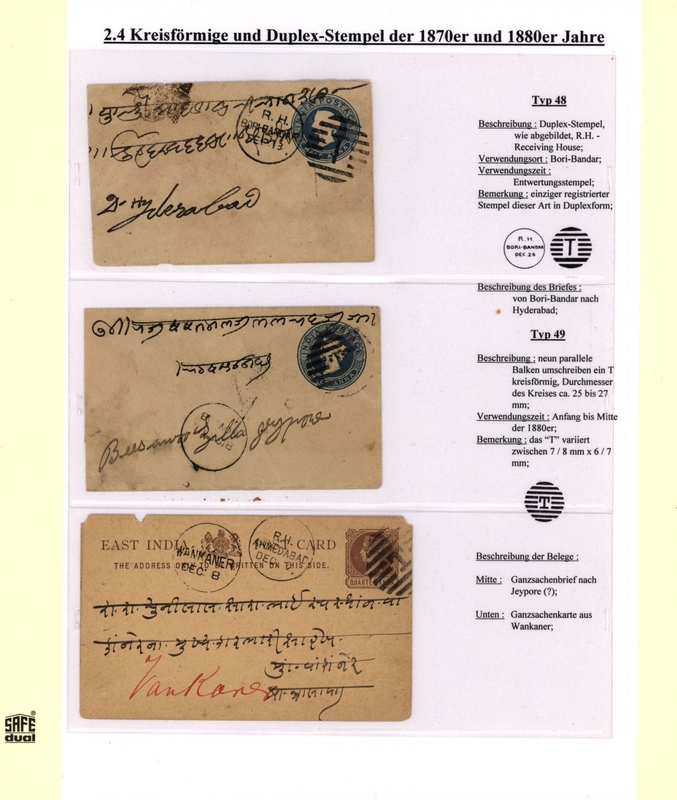 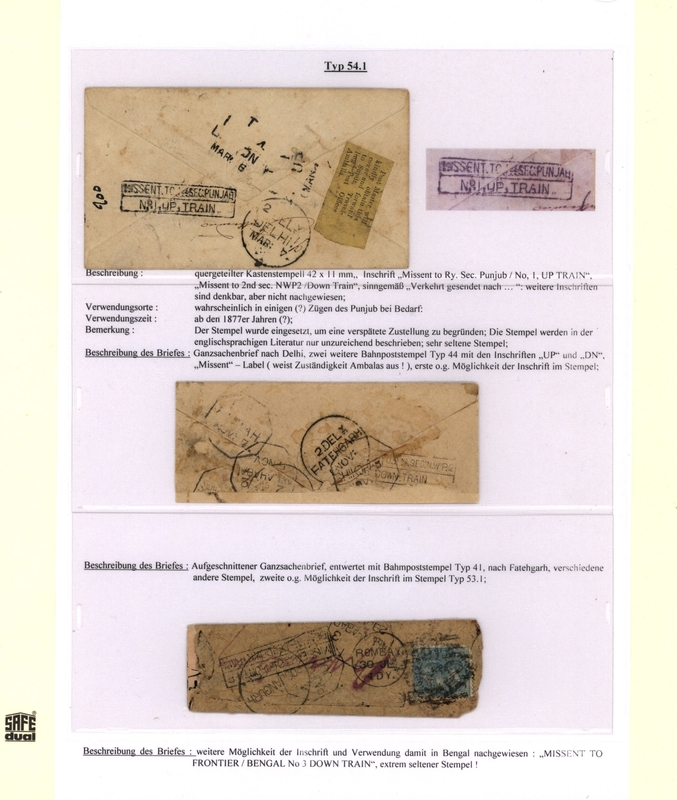 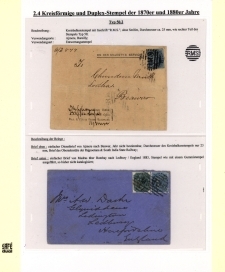 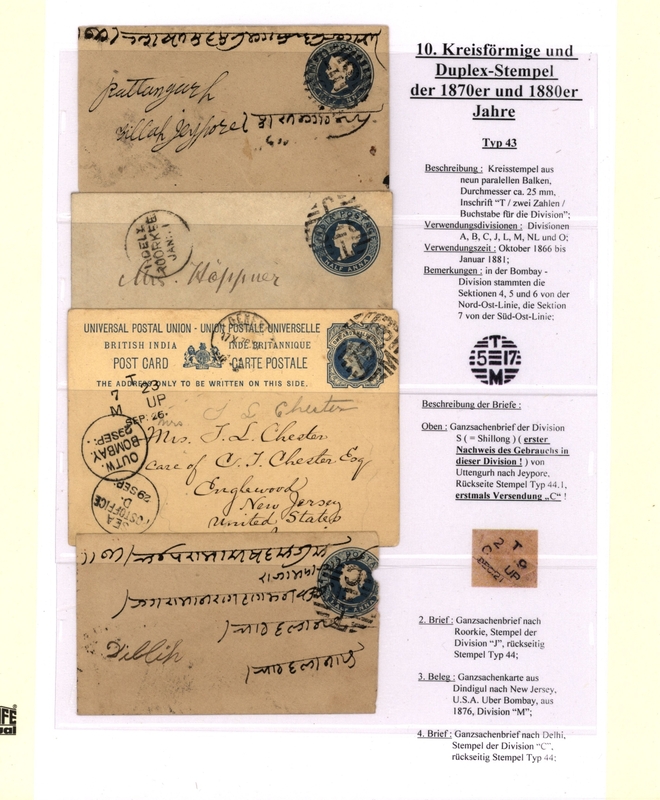 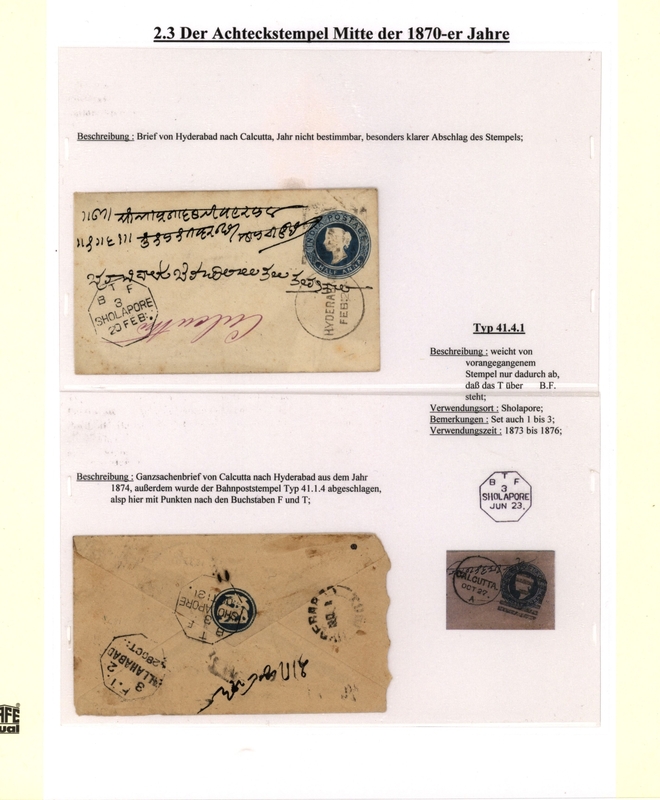 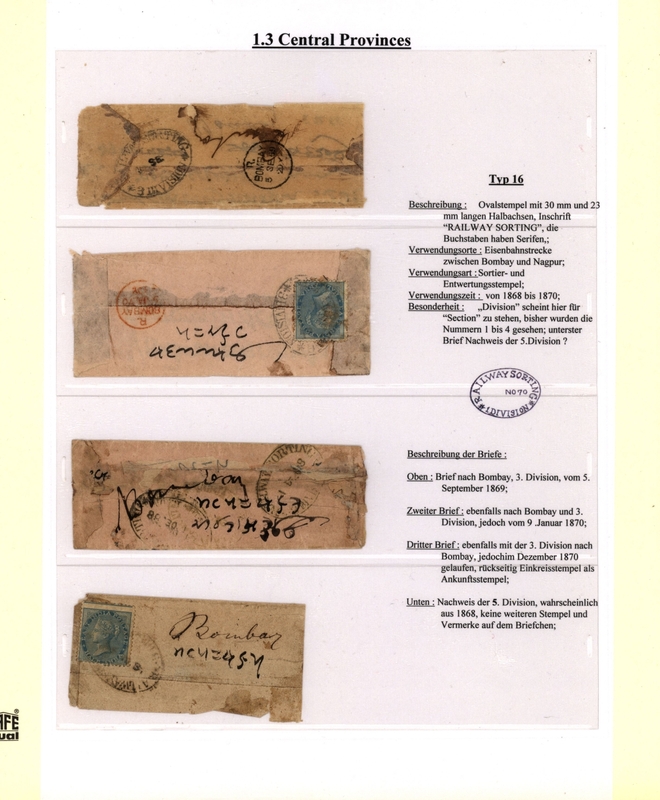 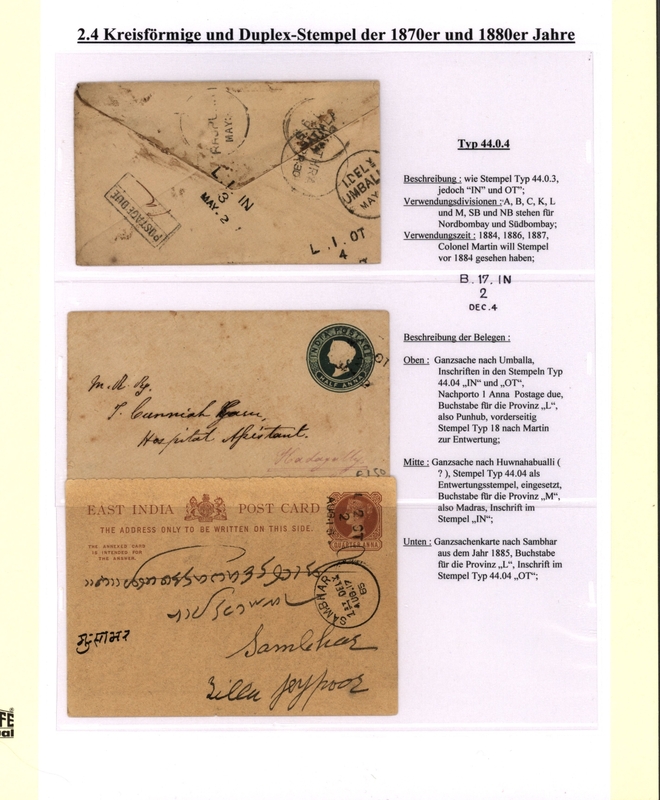 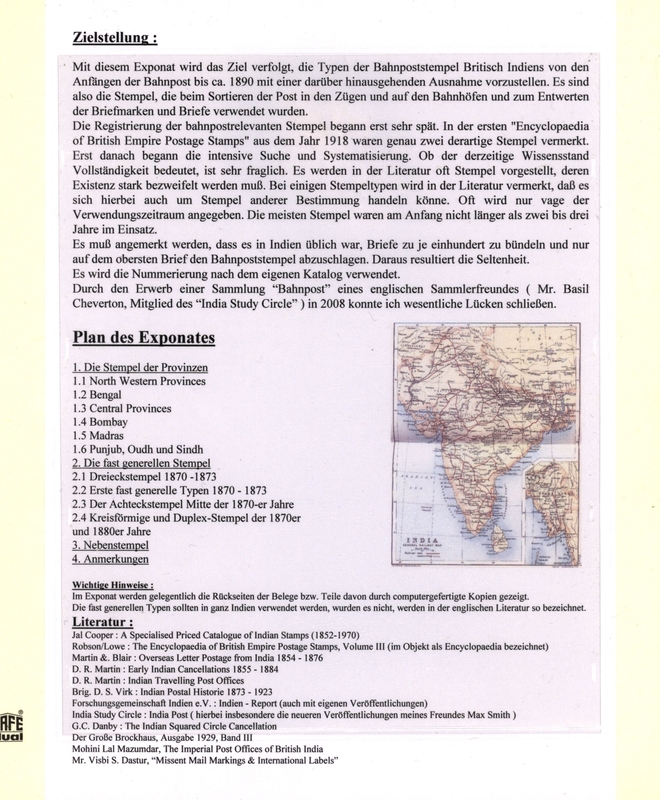 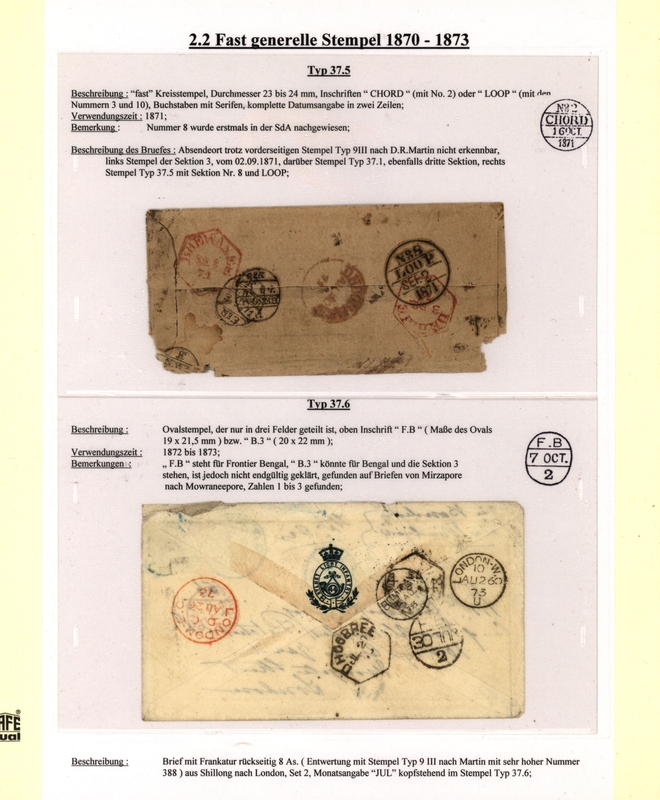 The Volker G. Grossmann collection of ALL (perhaps except one) actually known cancellations and marks of Indian railway from 1860 to 1890, well written up on 84 exhibition pages, with more than 200 covers, cards and postal stationeries, few part covers/pieces and two stamps bearing almost all the various railway datestamps, markings and handstamps recorded and known up today. 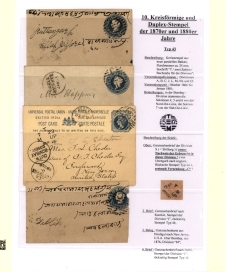 This collection was built during decades on the basis of the known literature (Jal Cooper, D.R. 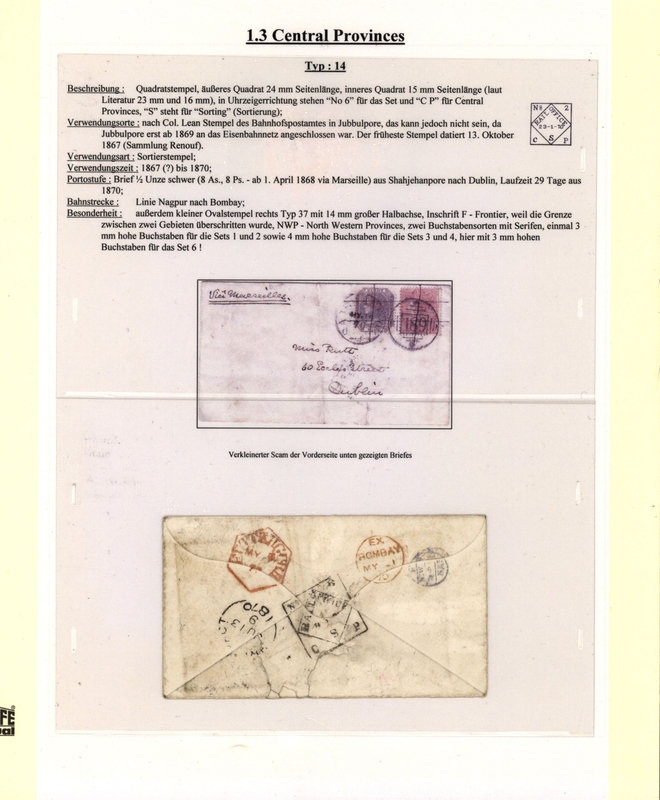 Martin a.o.) 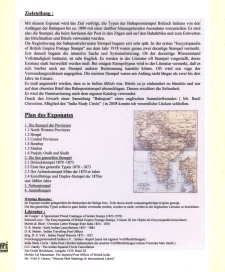 and V.G. 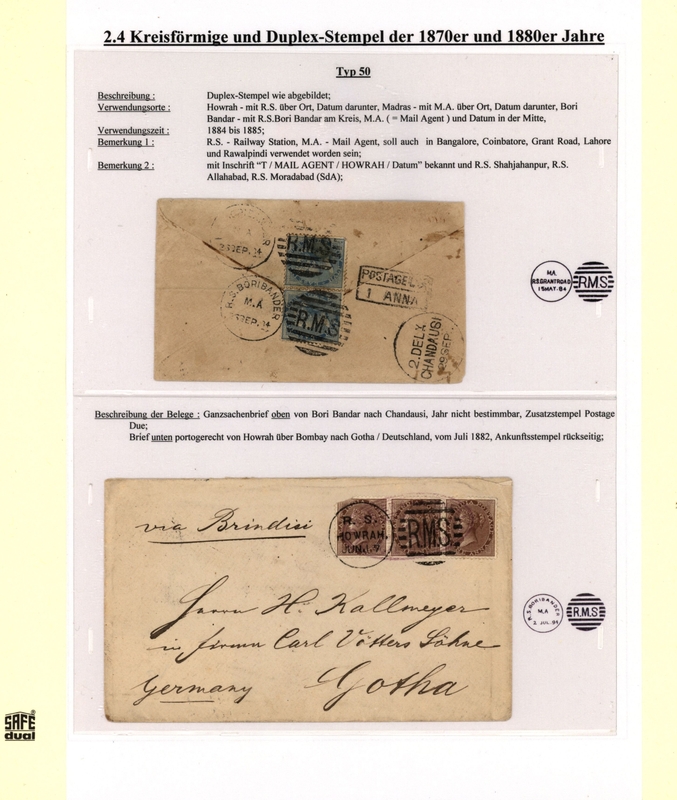 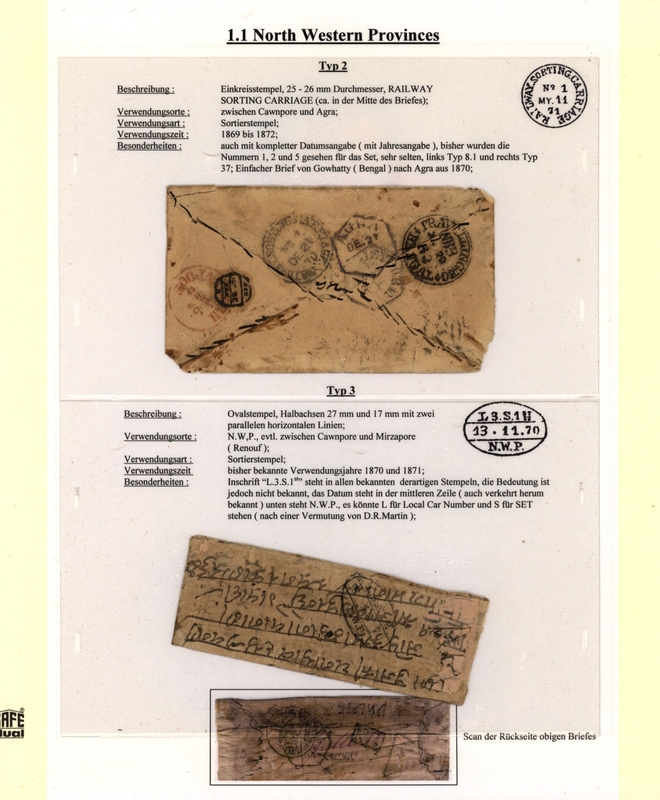 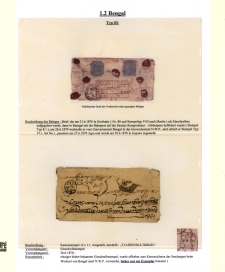 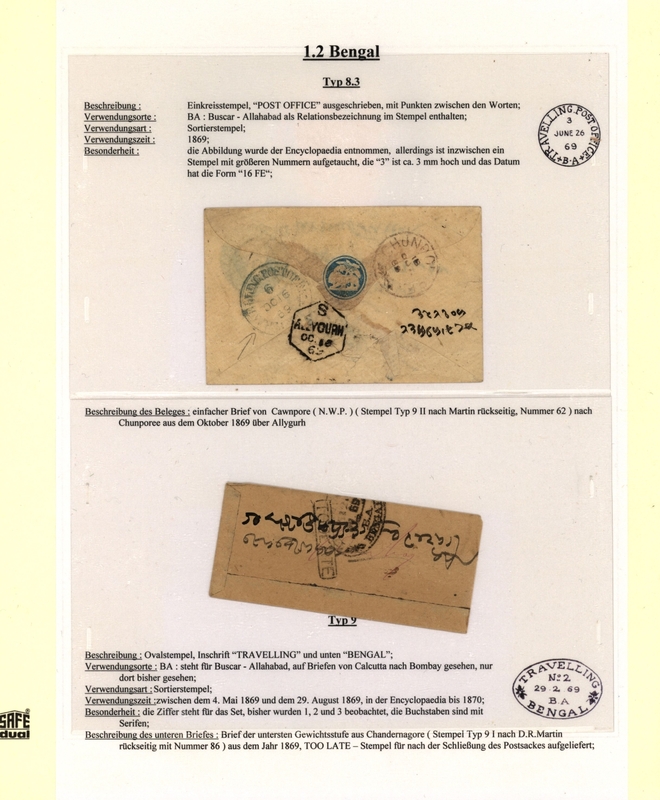 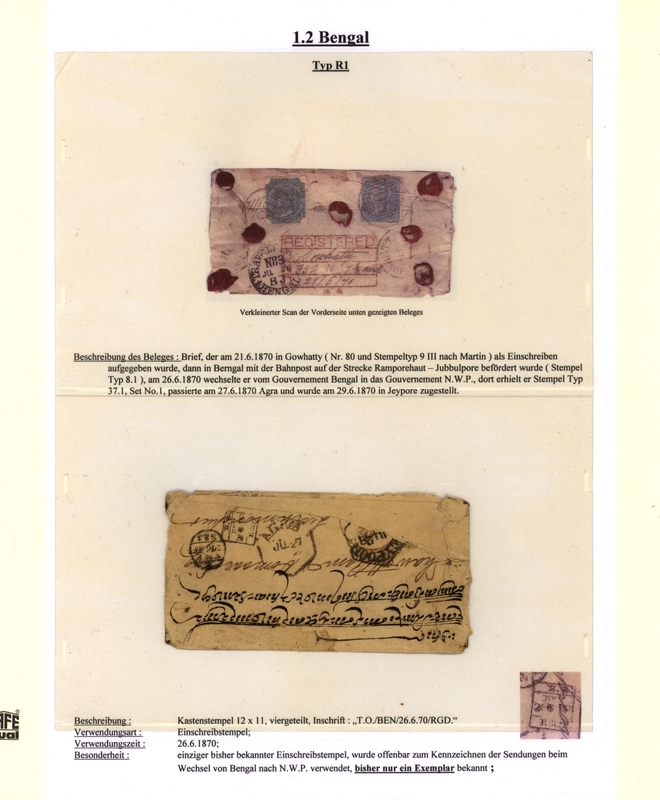 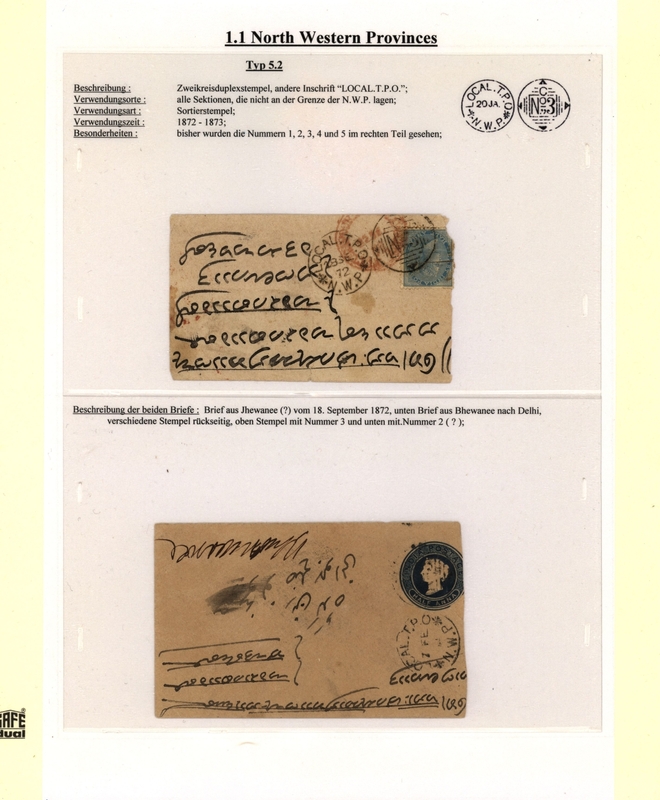 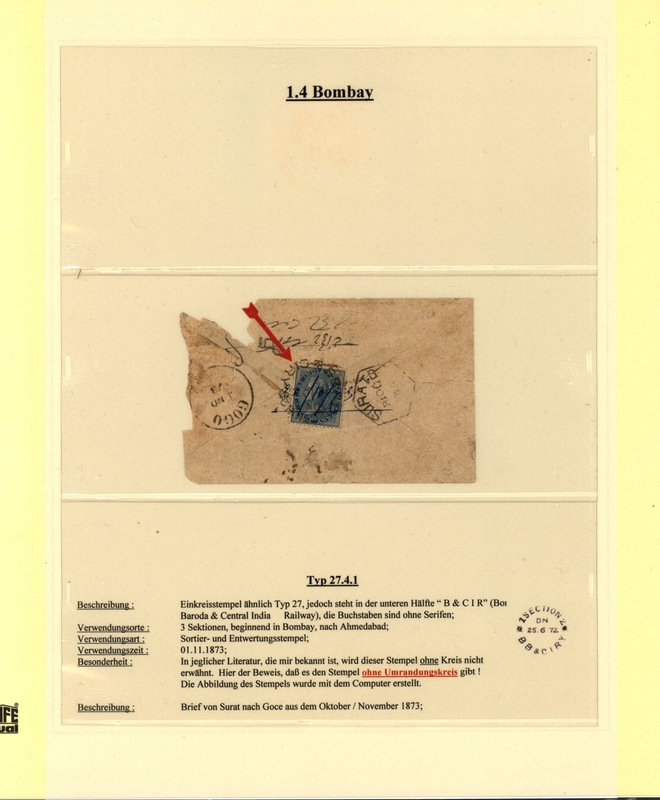 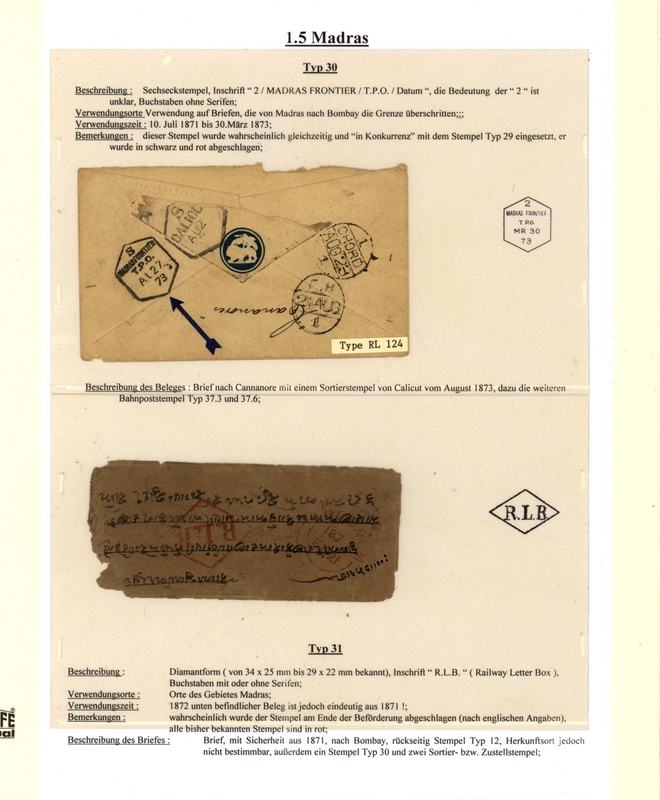 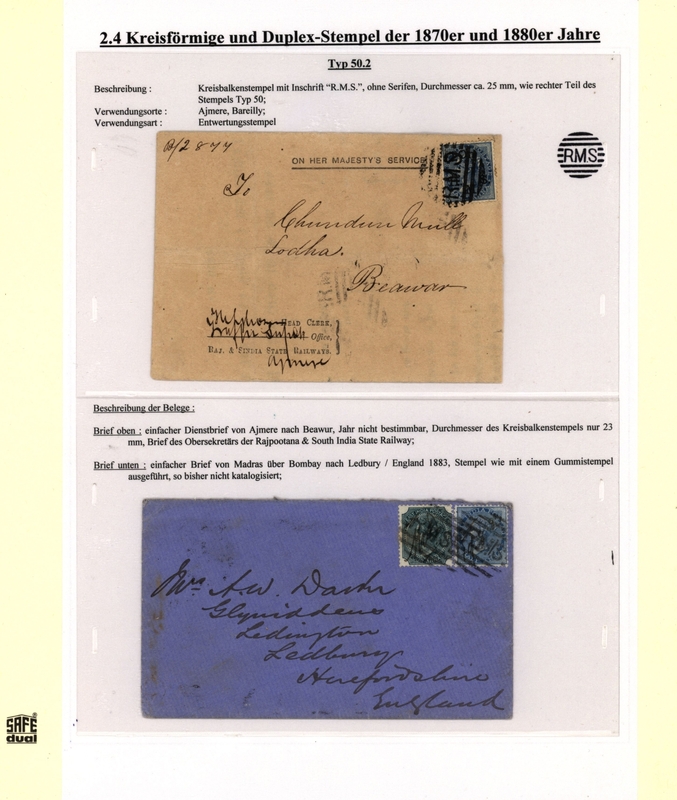 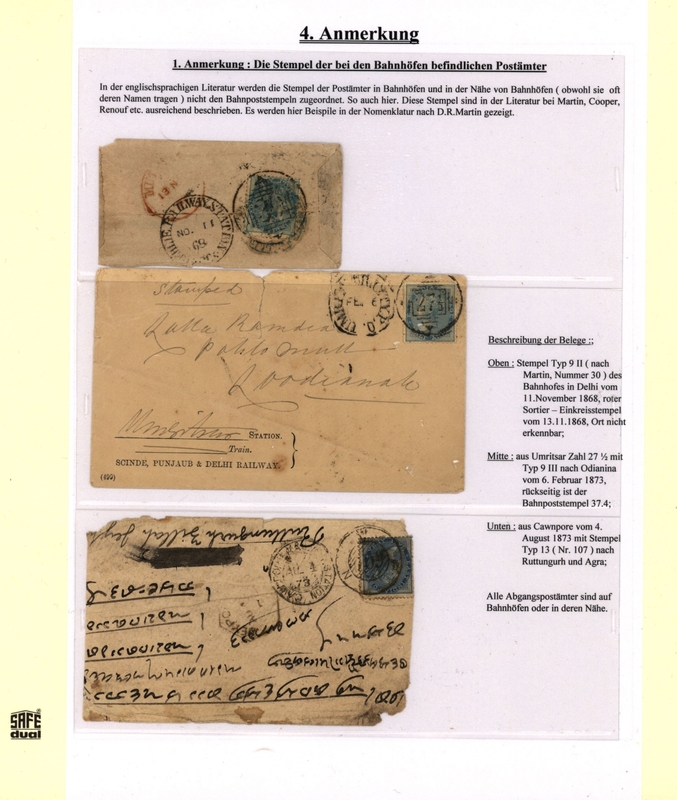 Grossmann's own reserches worldwide, and he could completed the collection by items from other famous collection recently. 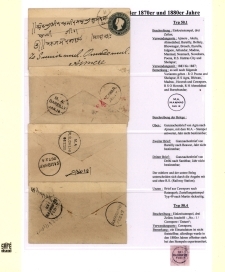 As a result, this became the only complete (or best to complete) collection of Indian railway cancellations at the actual status of knowledge. 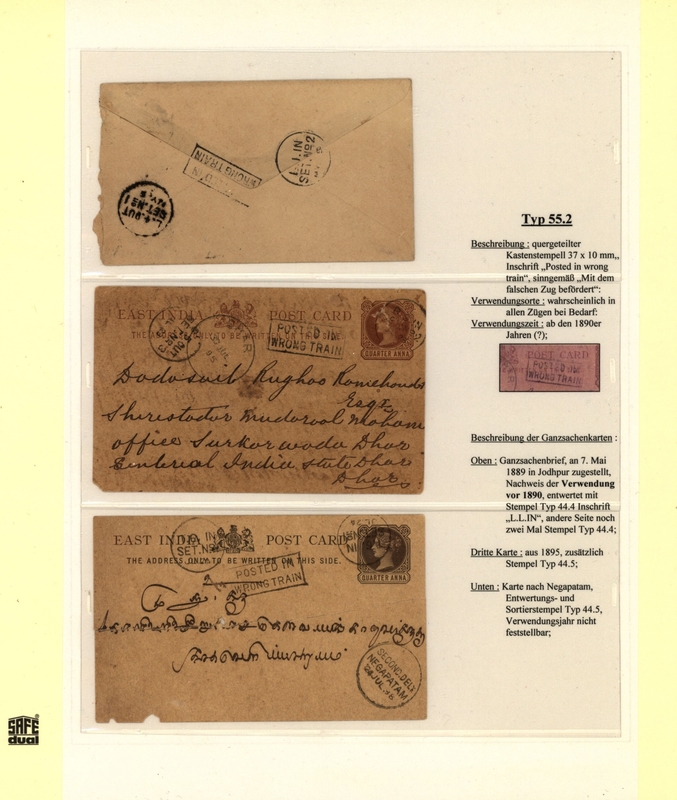 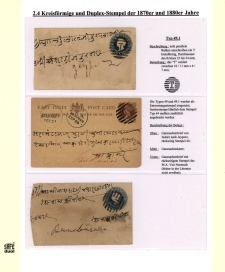 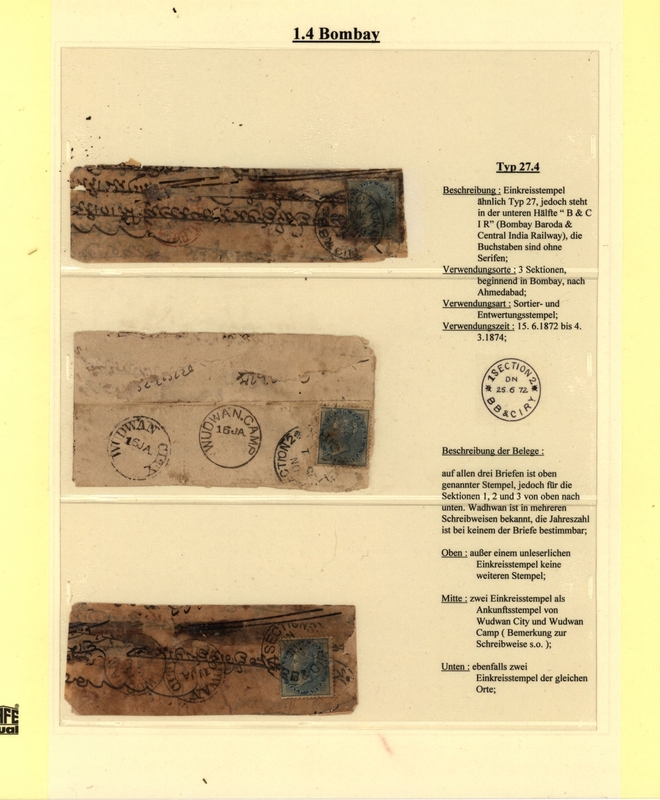 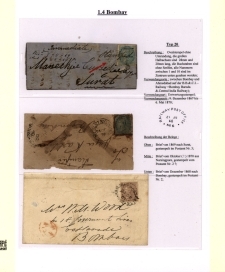 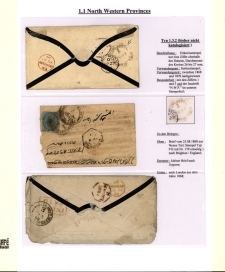 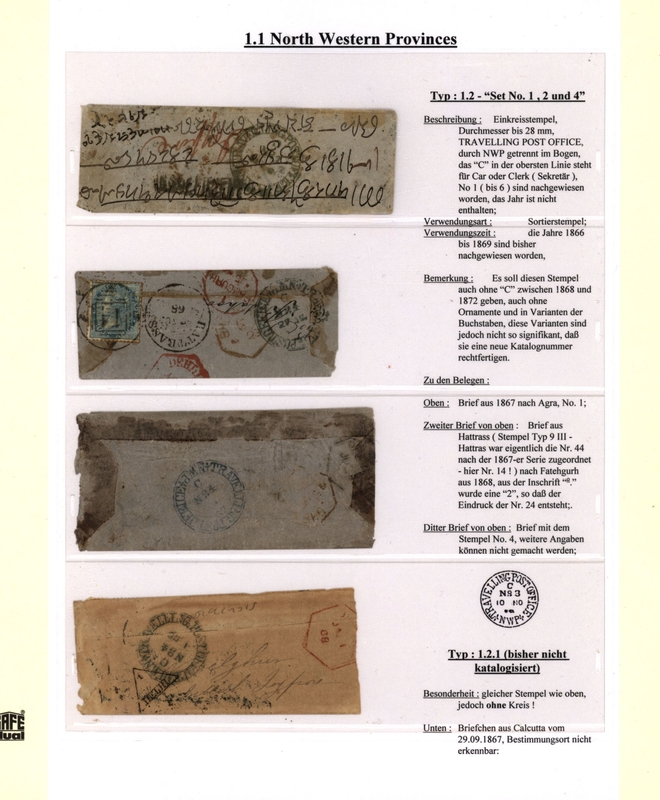 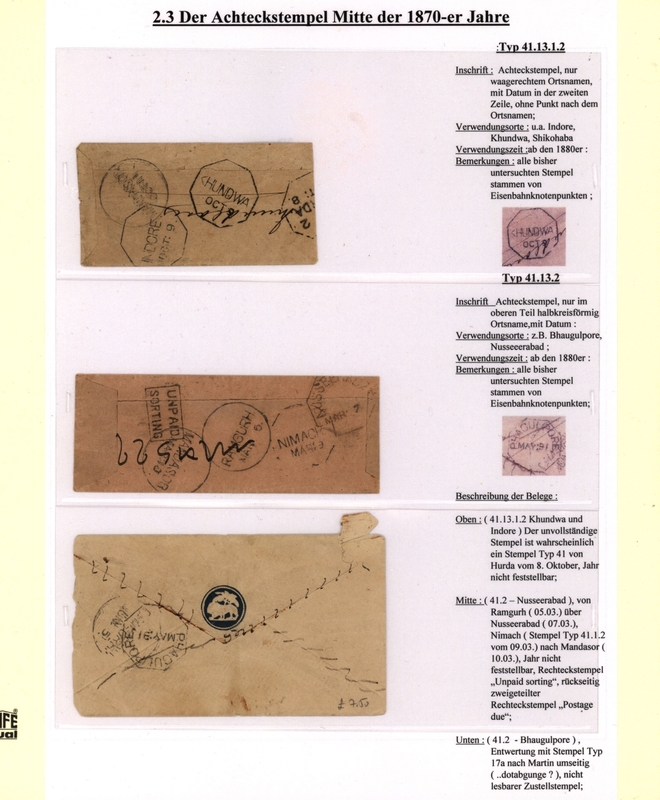 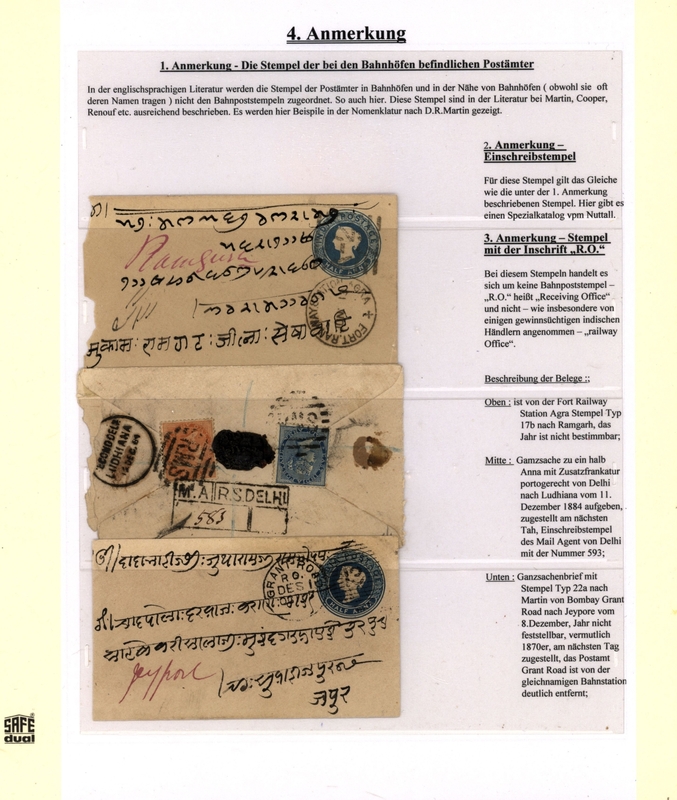 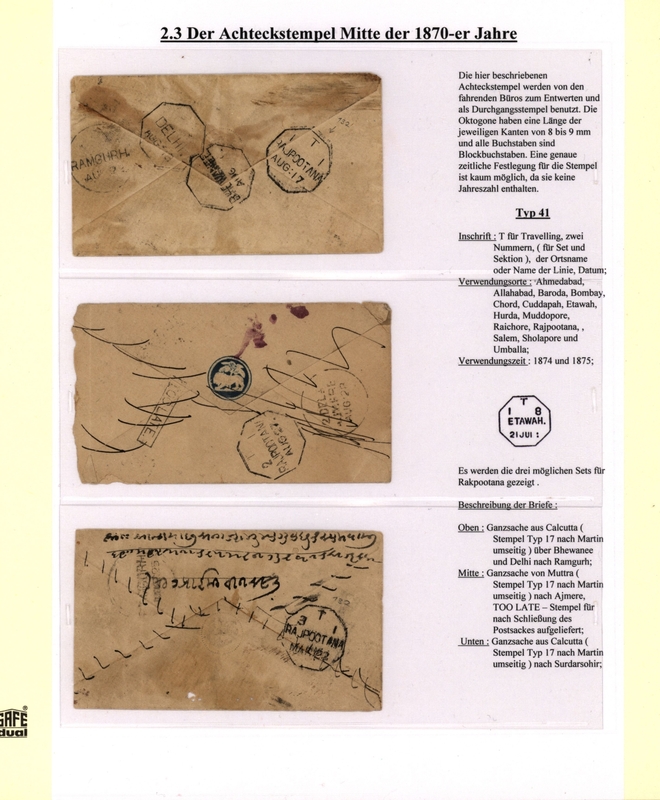 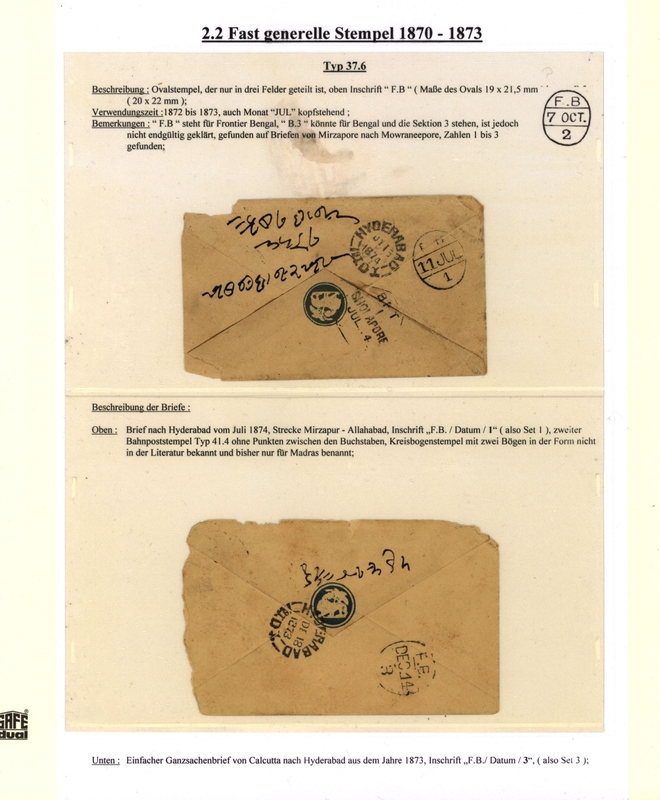 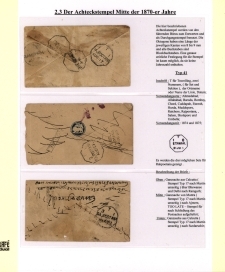 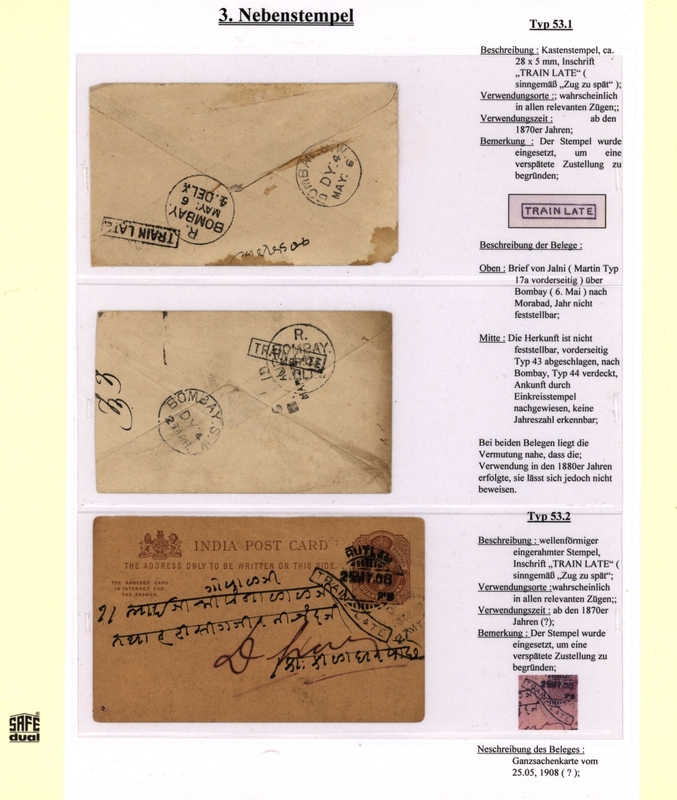 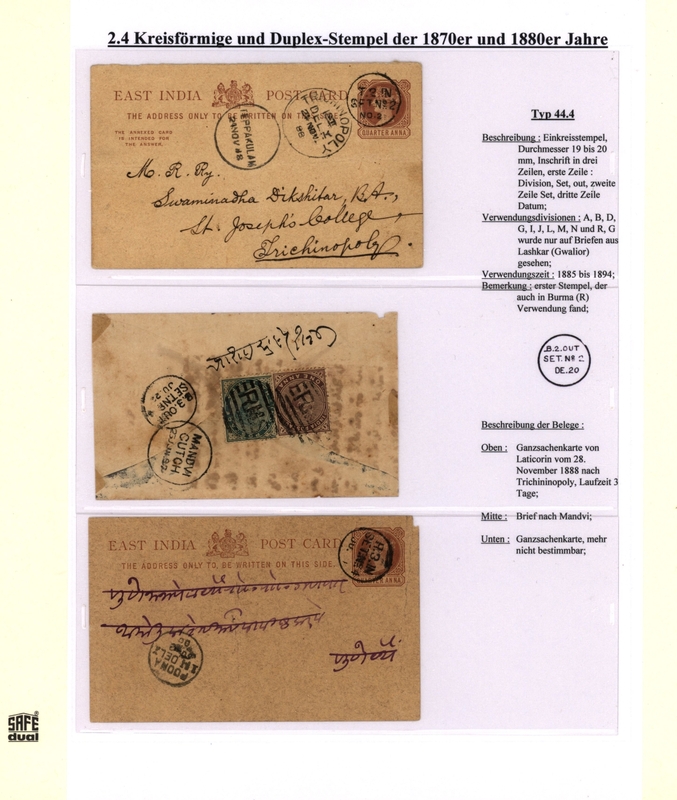 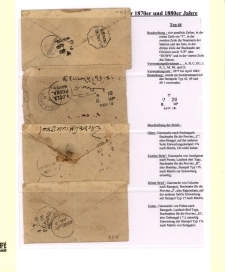 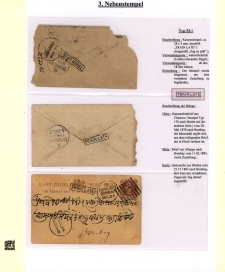 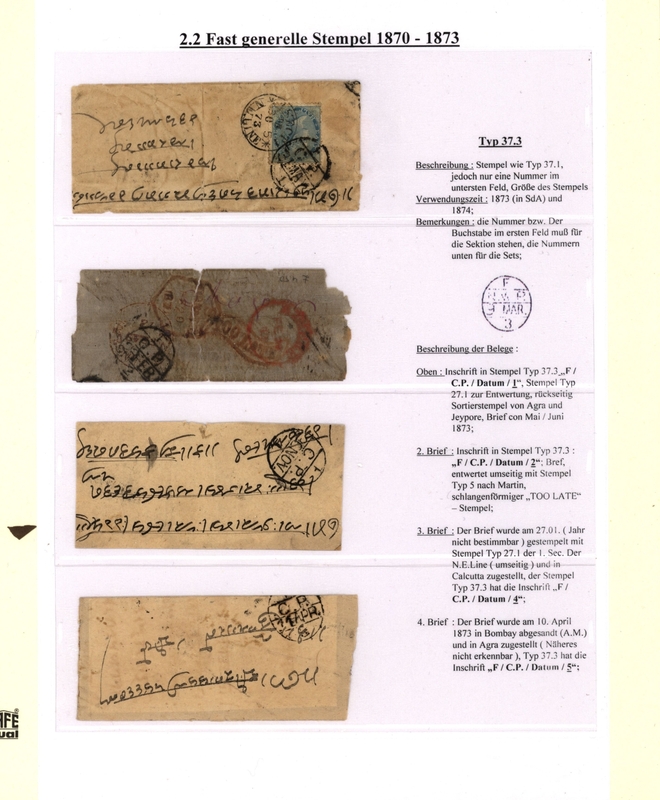 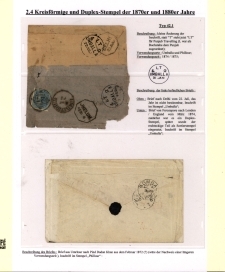 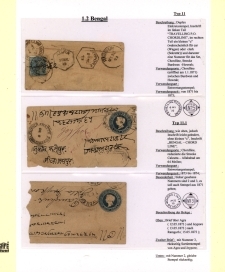 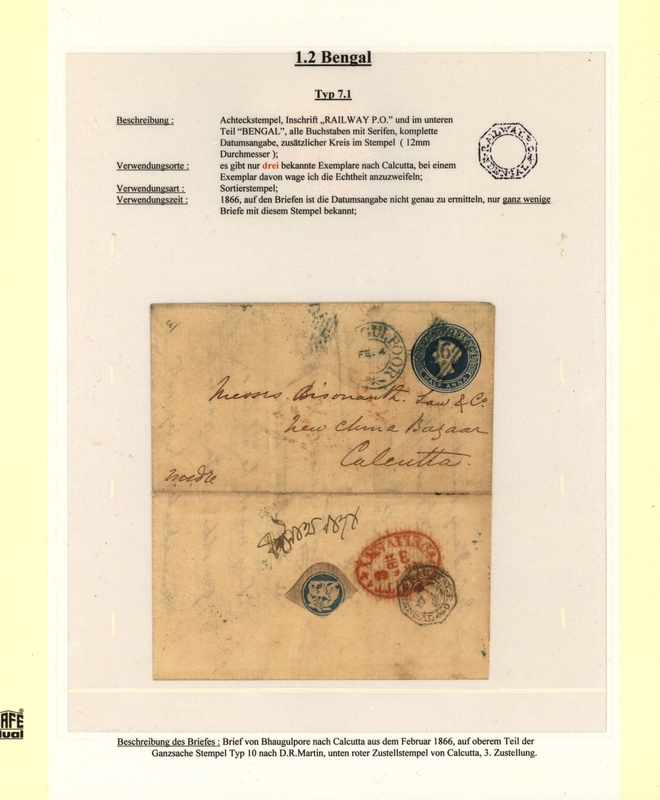 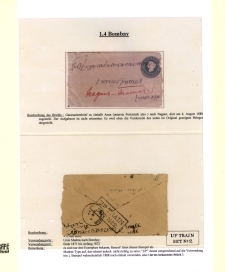 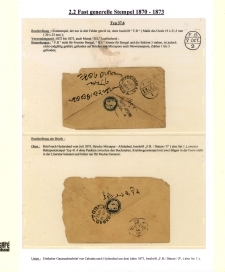 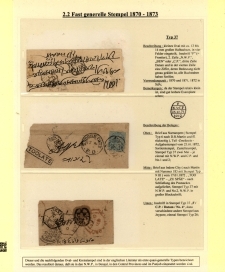 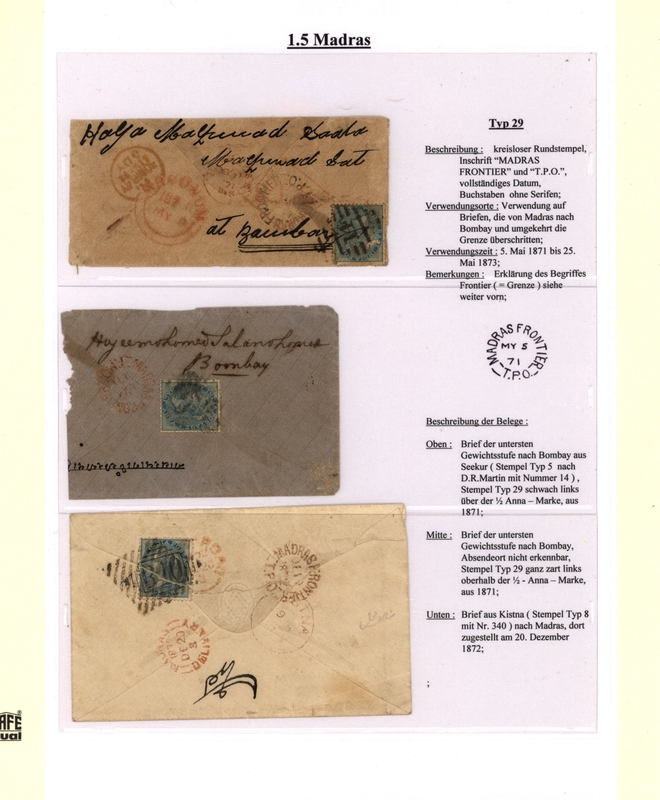 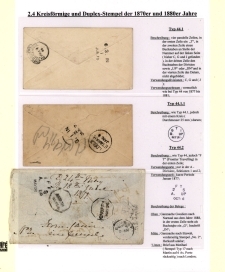 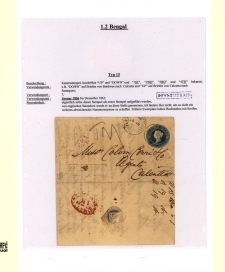 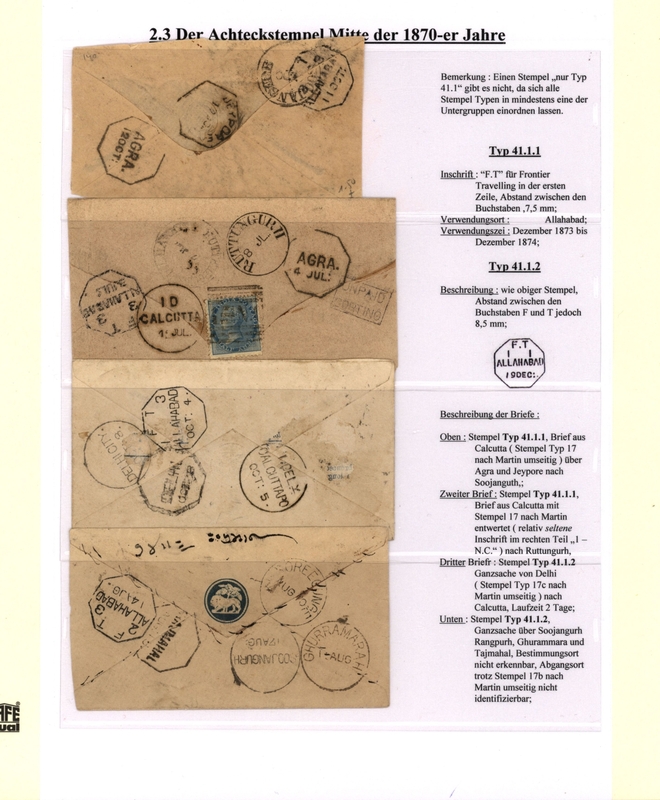 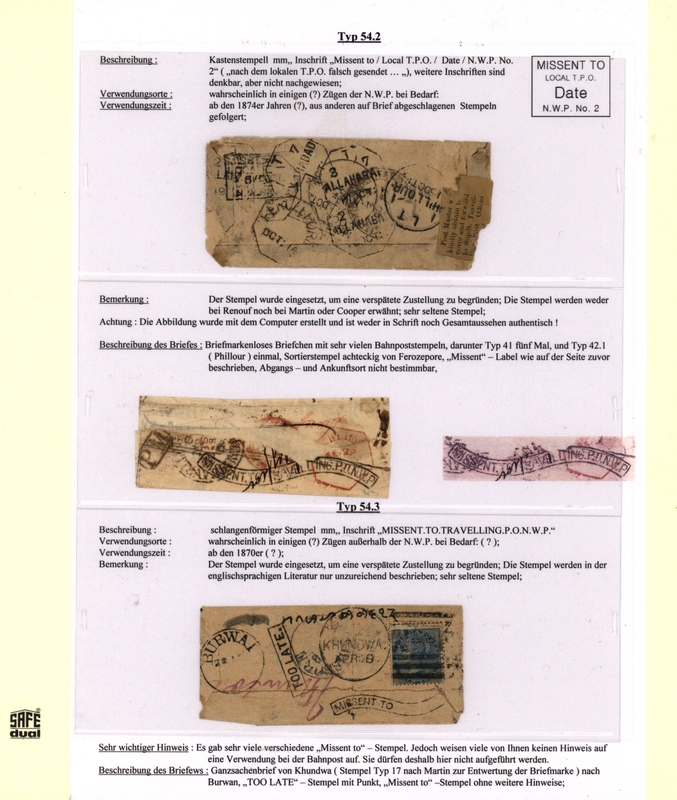 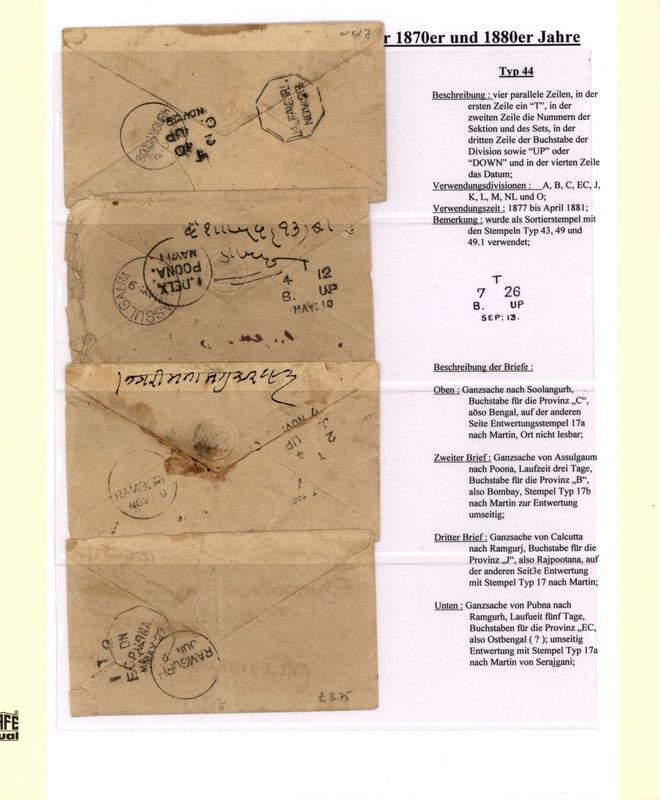 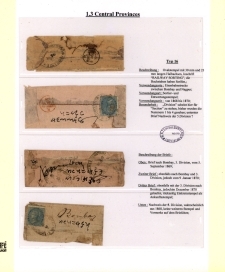 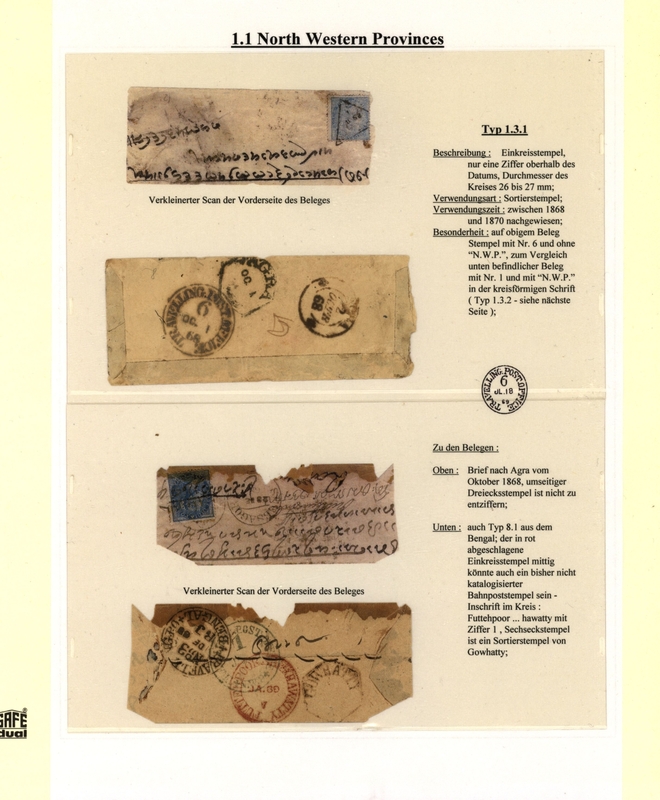 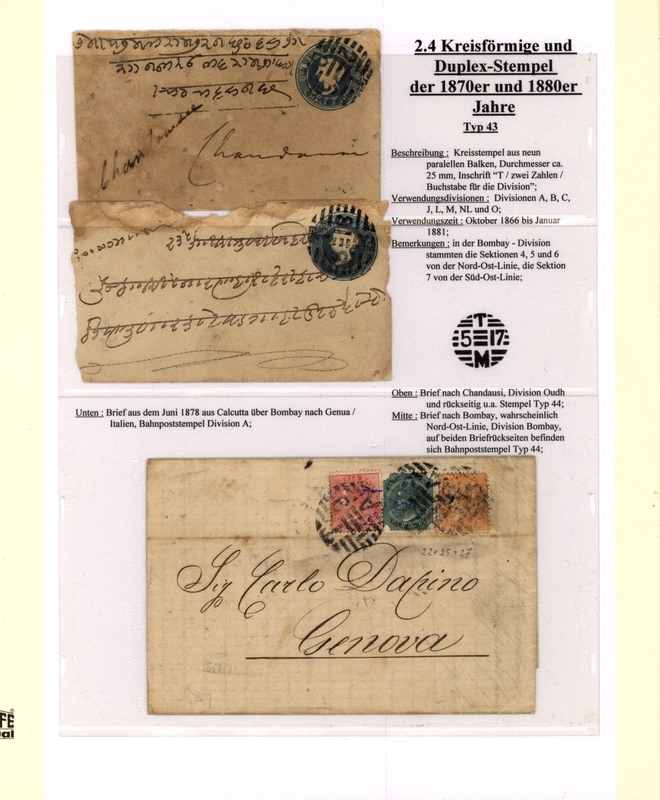 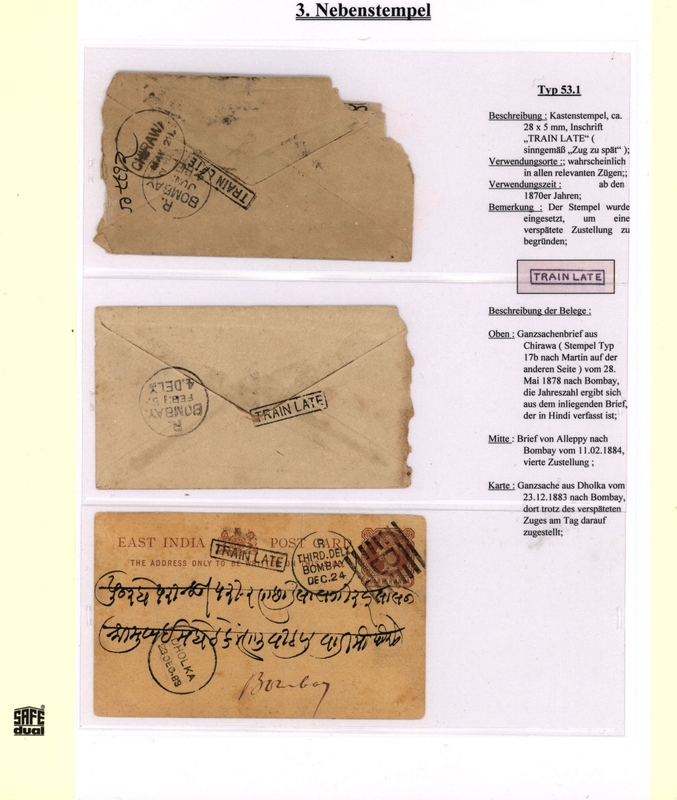 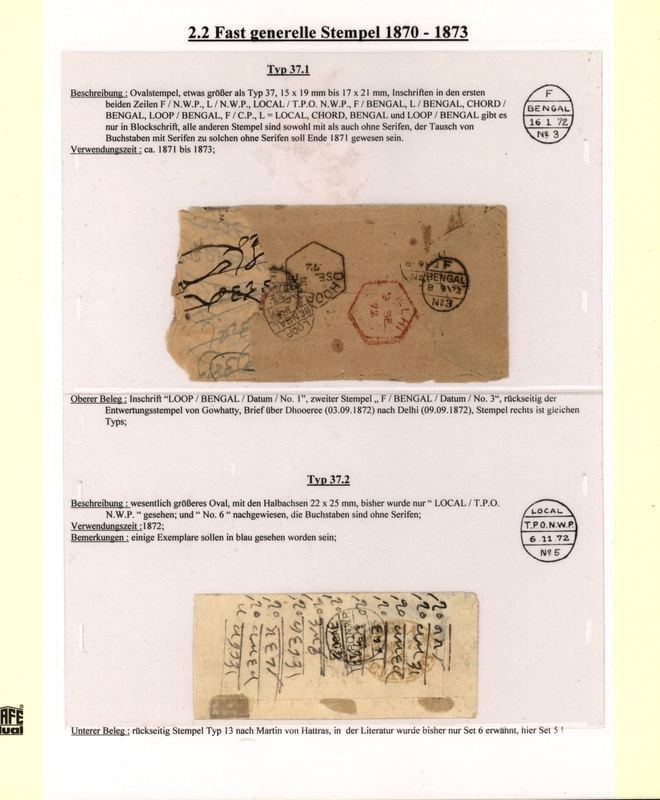 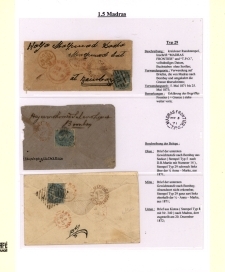 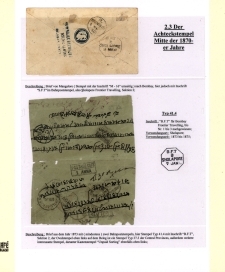 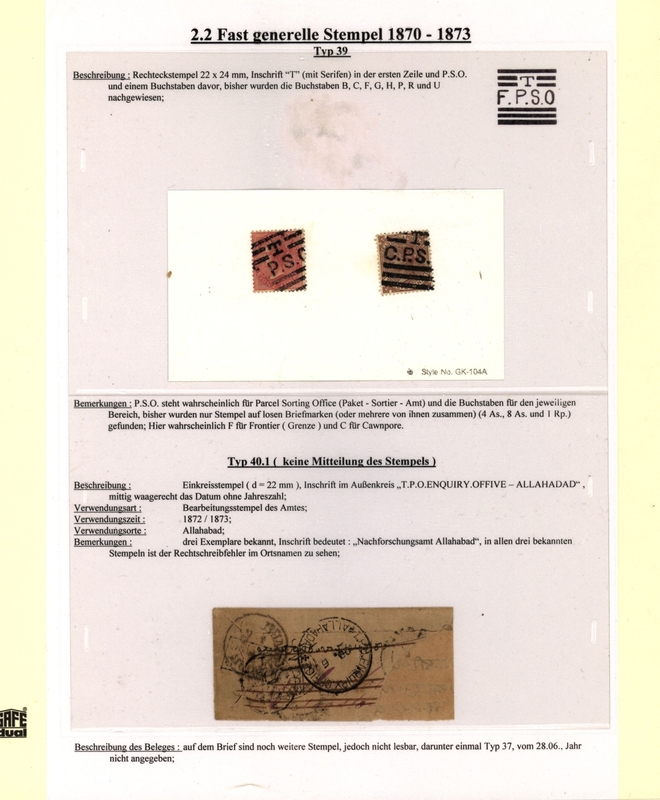 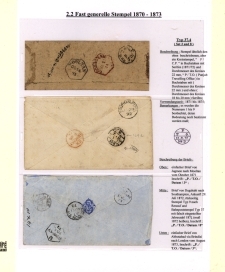 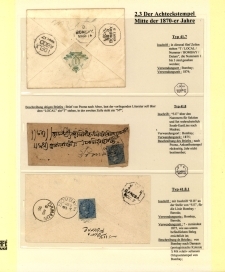 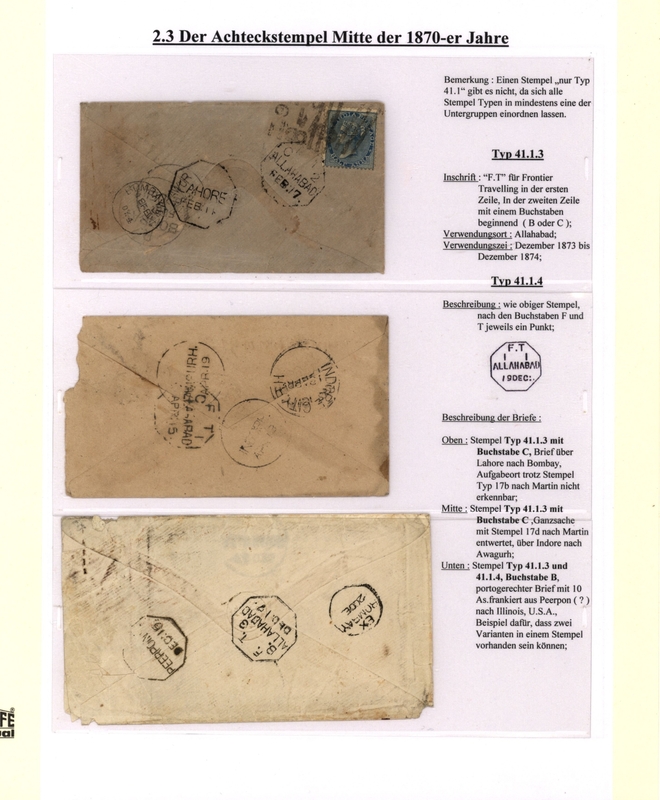 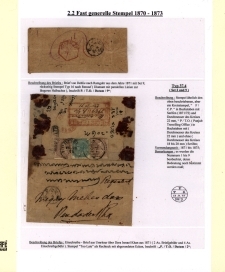 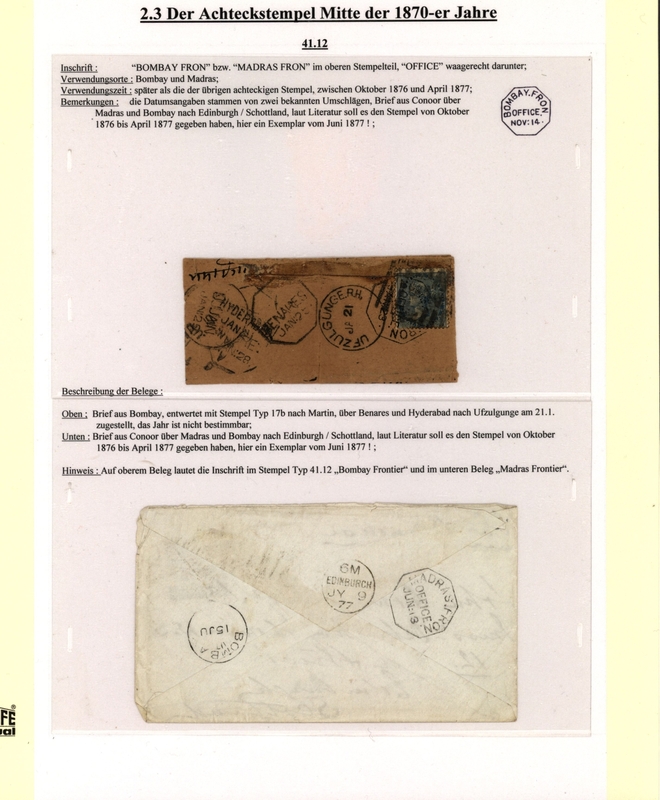 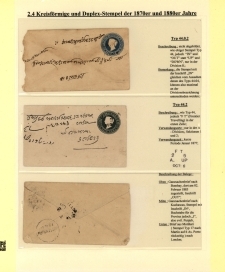 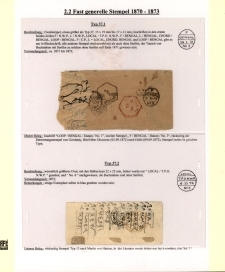 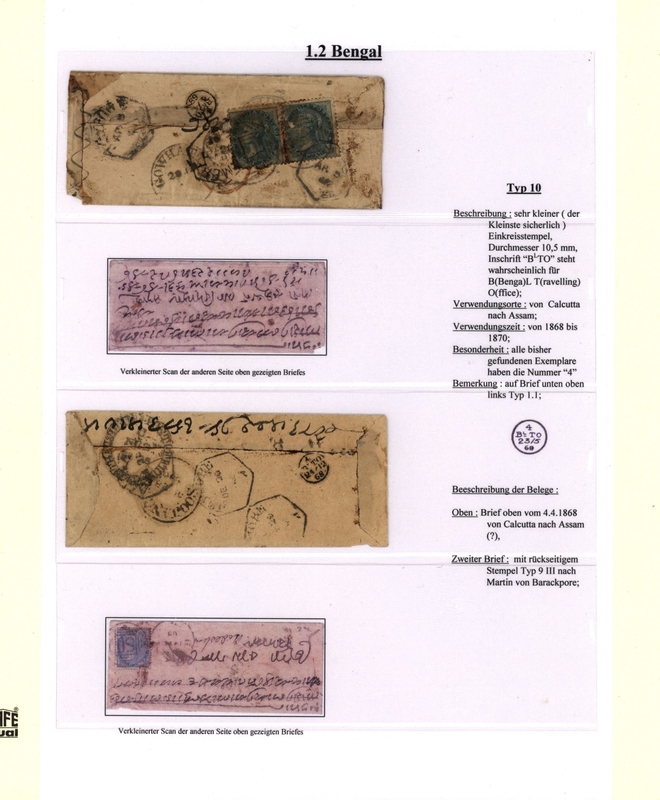 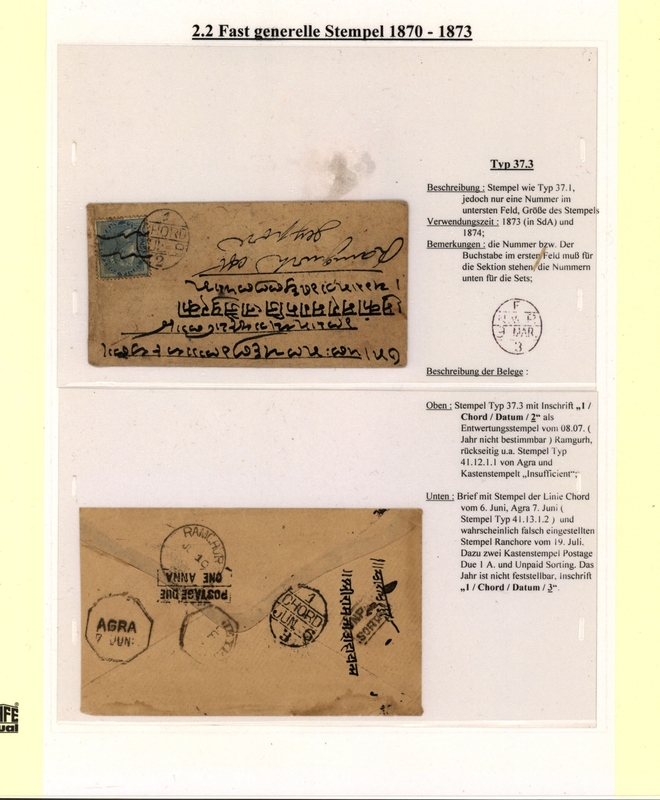 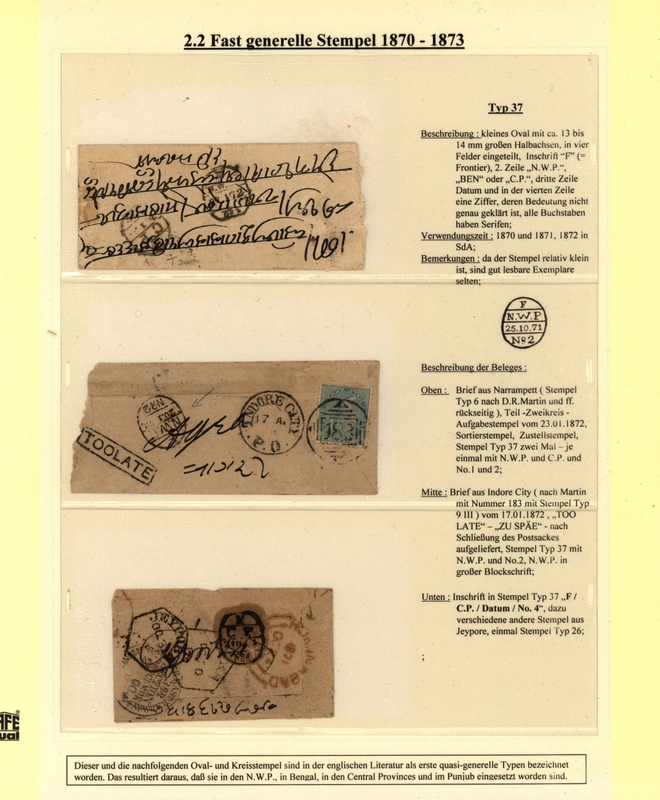 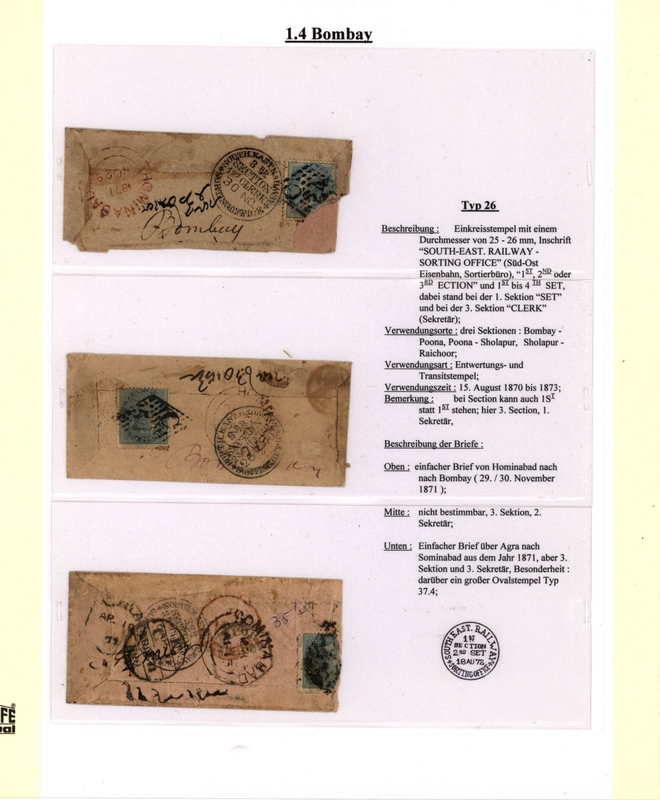 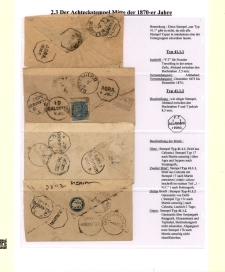 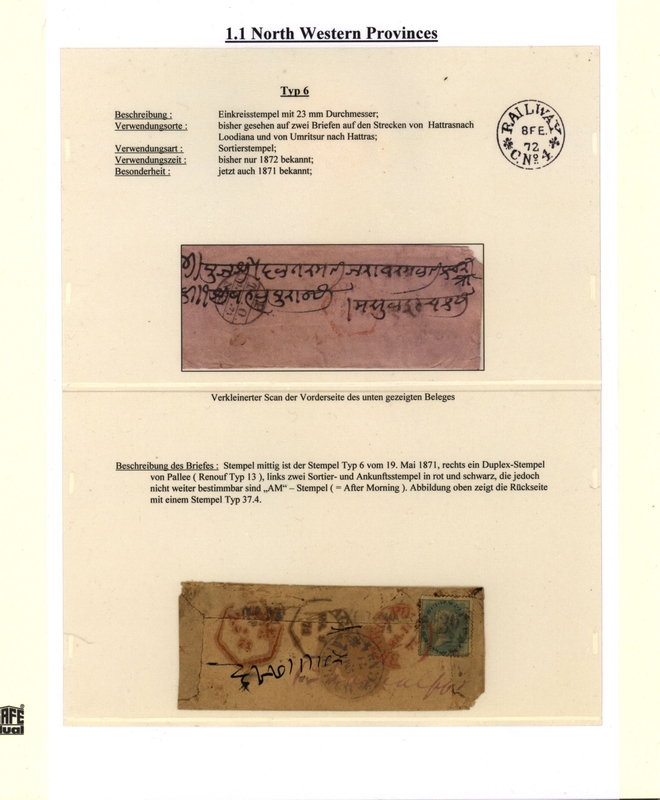 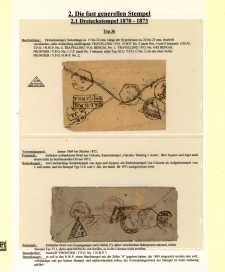 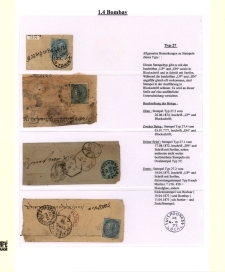 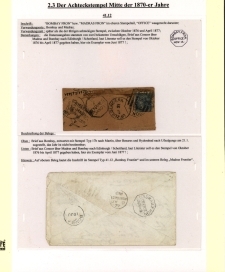 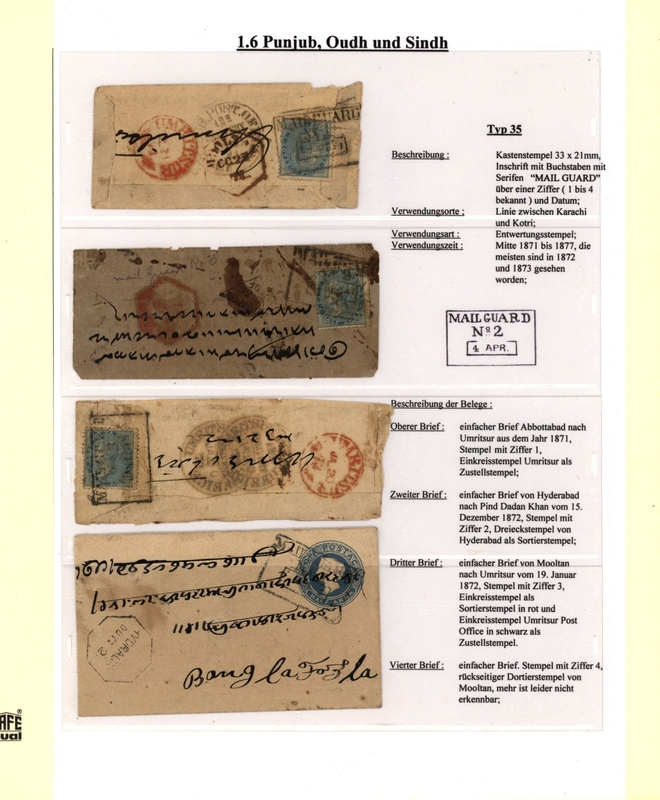 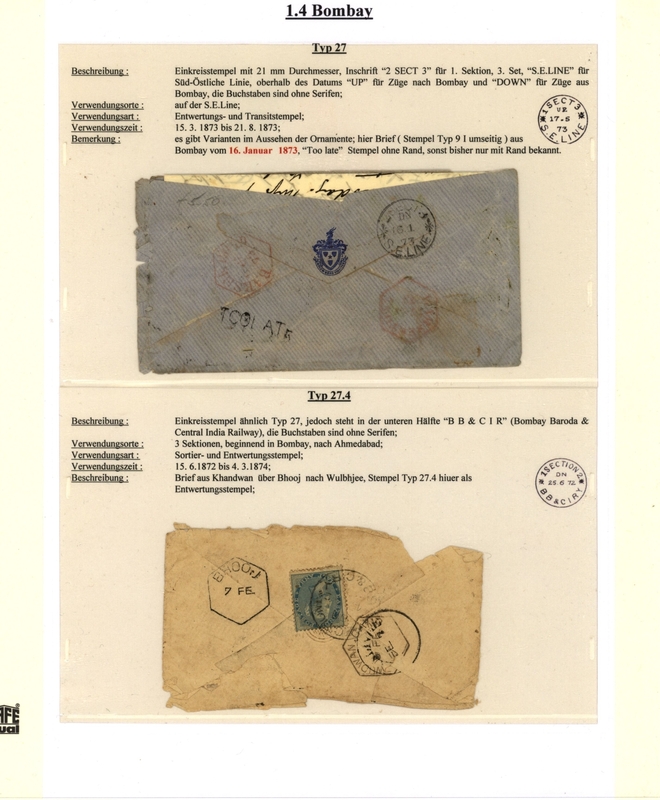 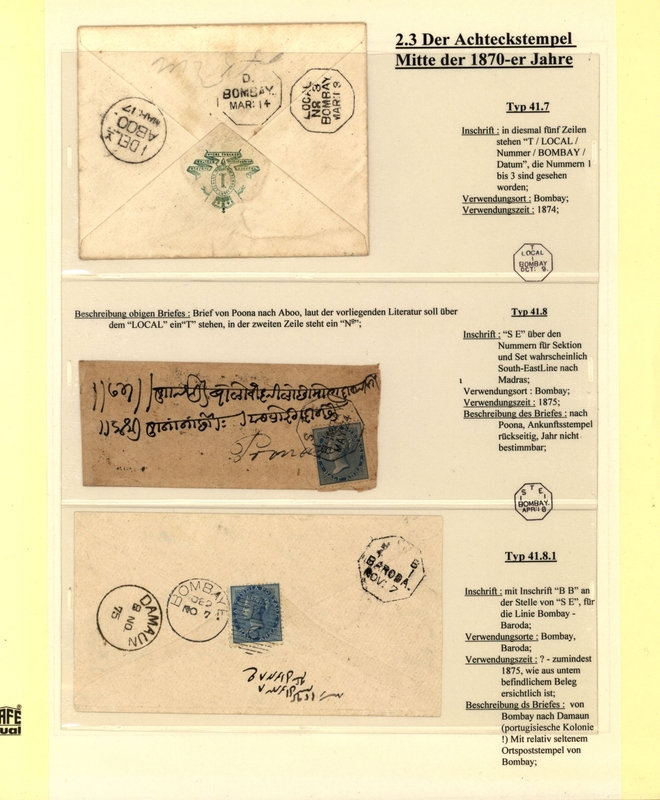 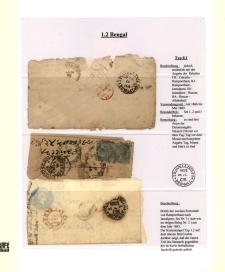 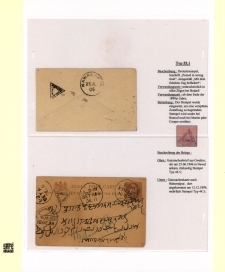 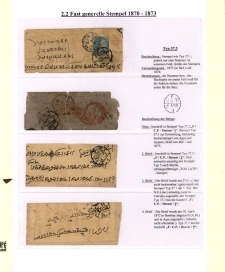 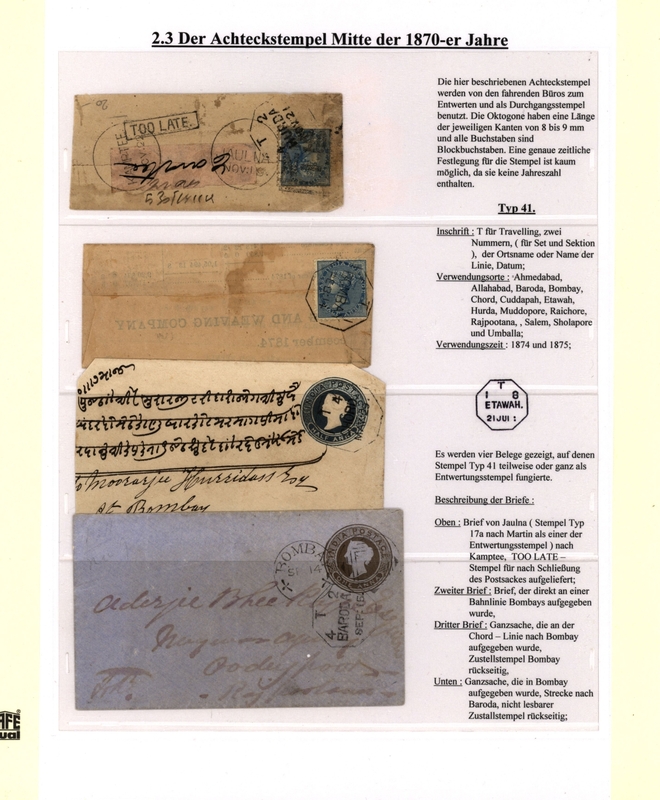 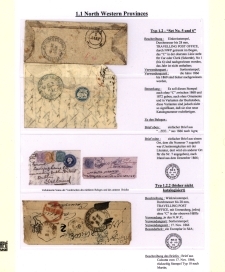 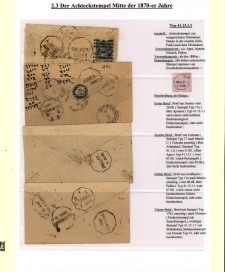 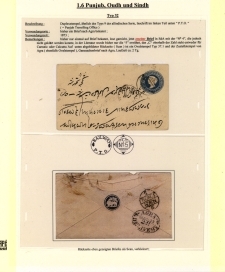 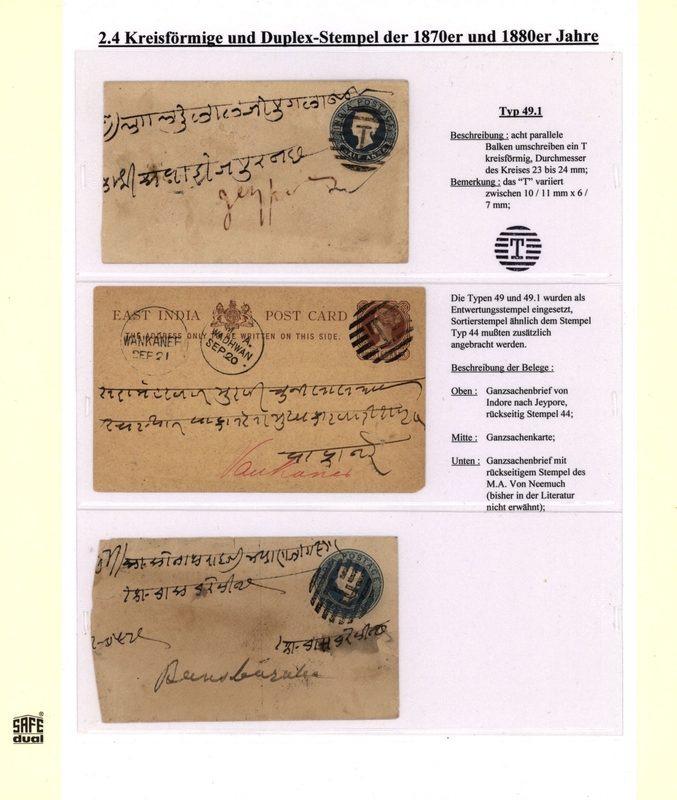 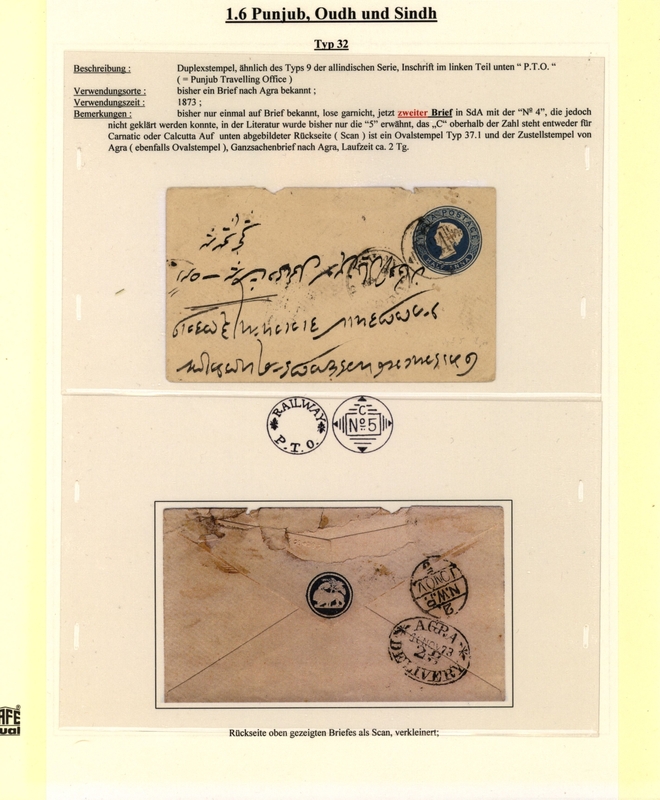 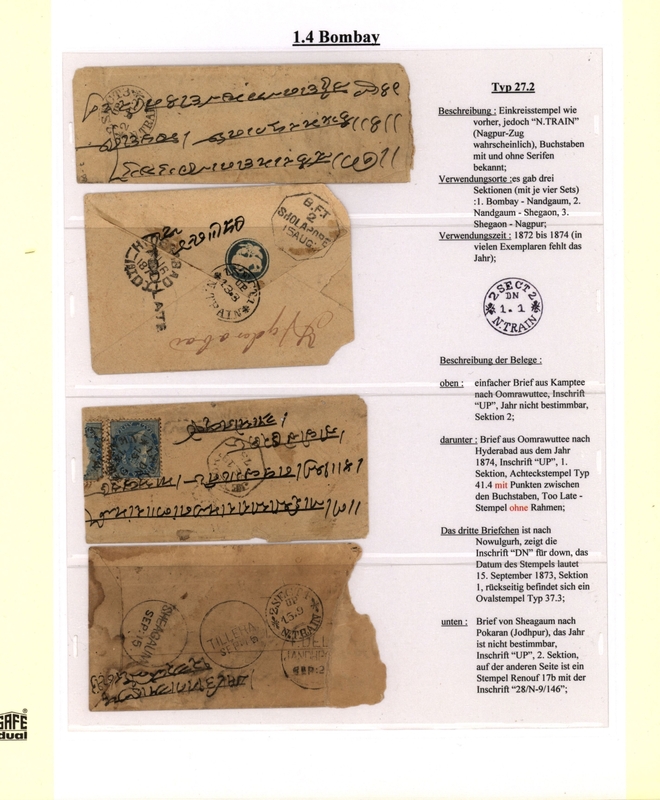 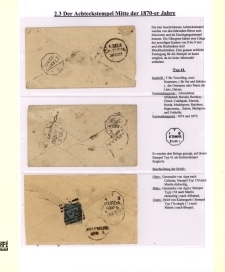 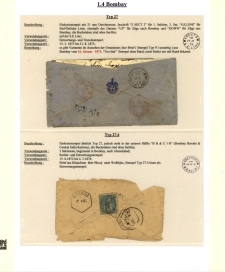 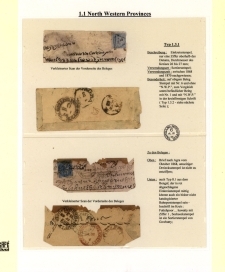 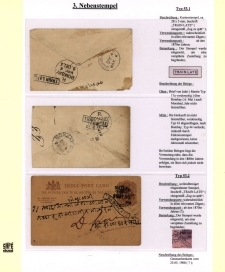 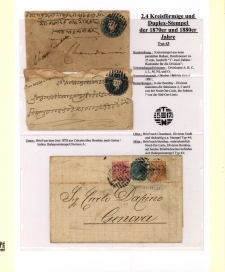 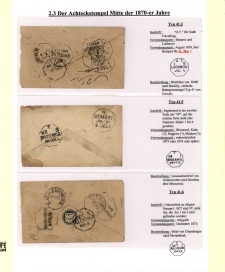 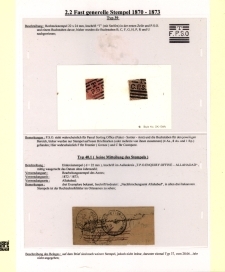 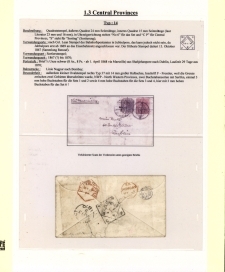 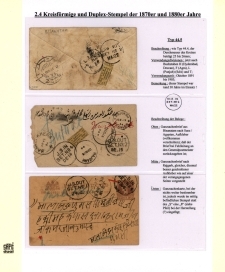 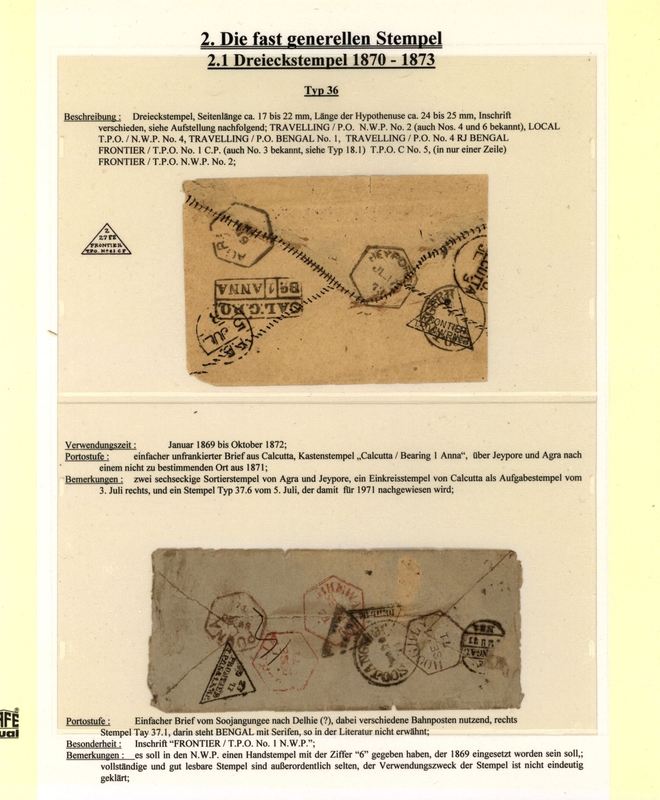 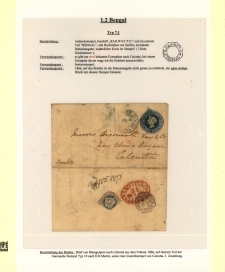 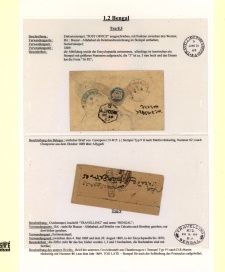 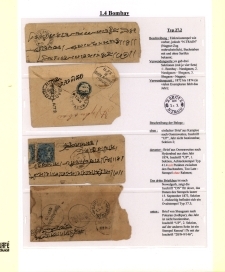 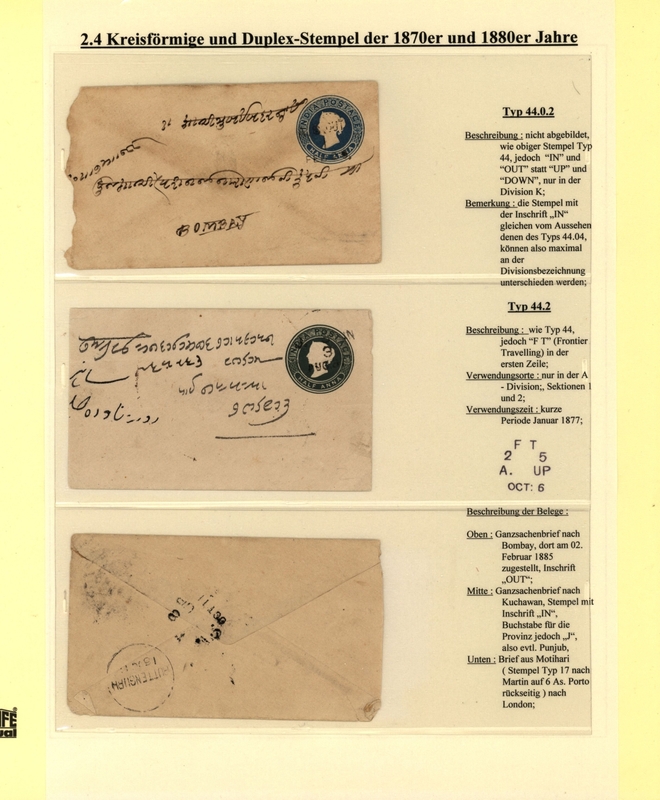 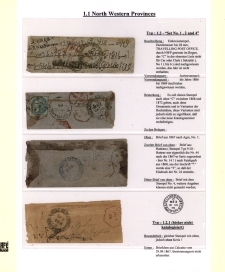 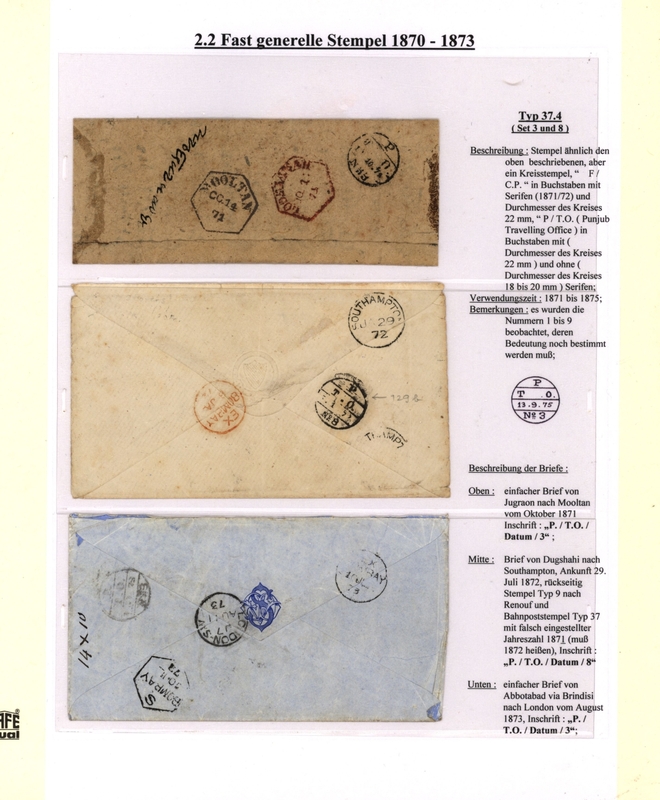 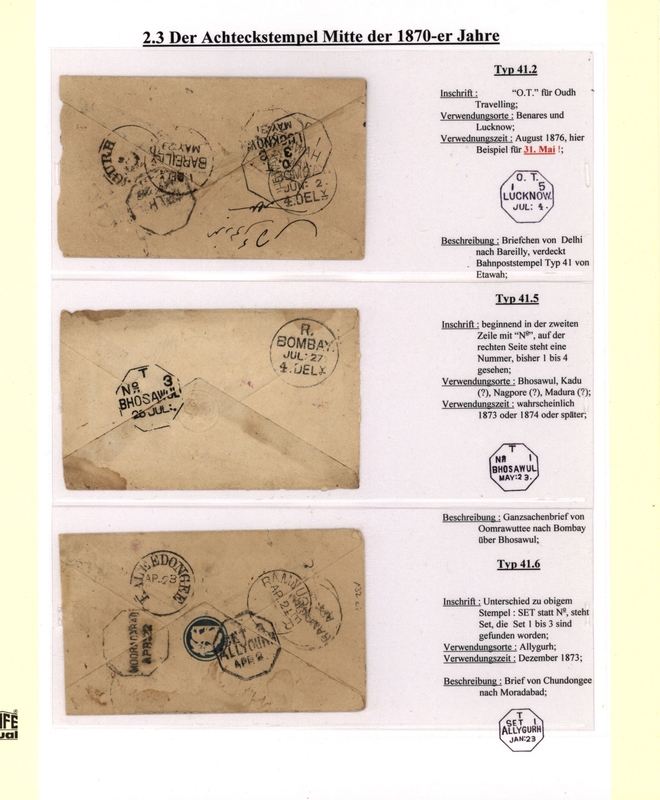 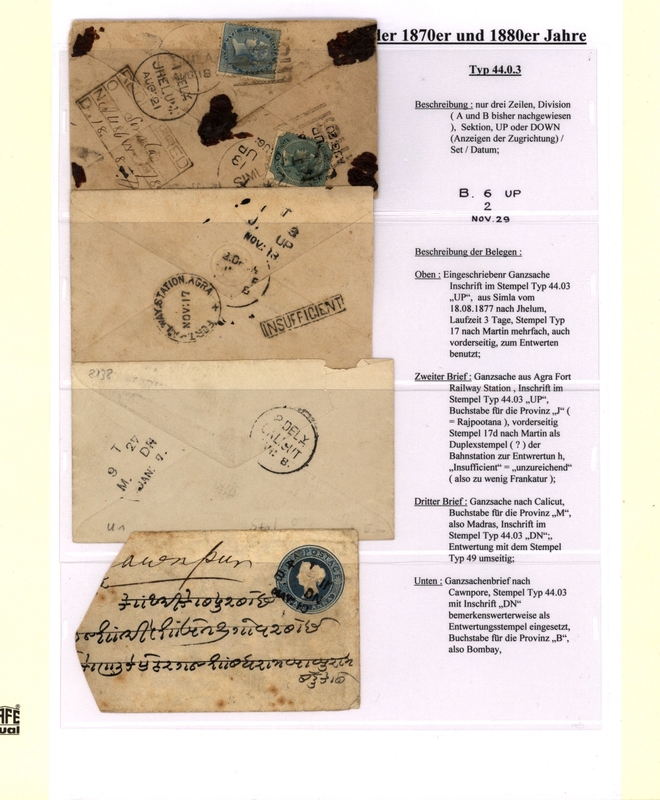 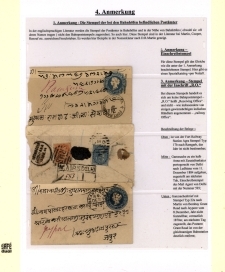 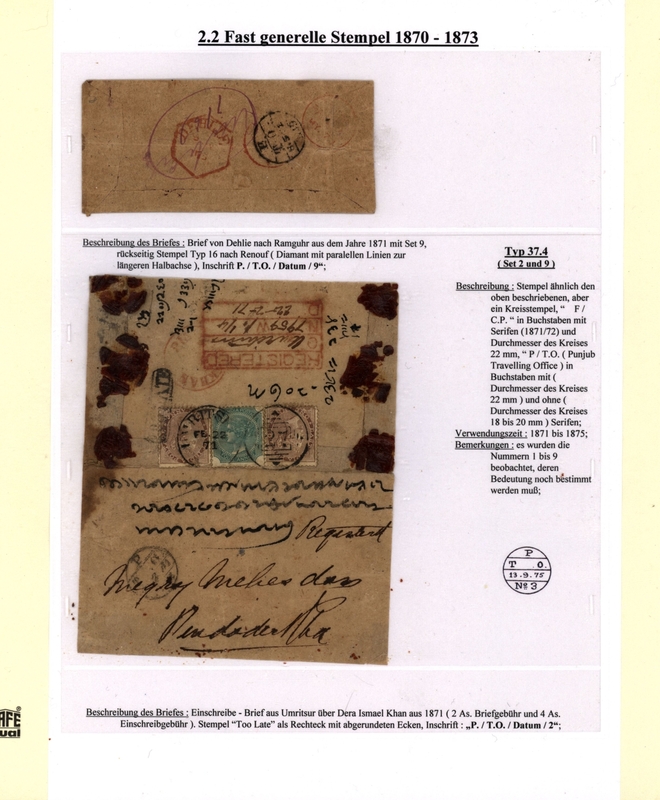 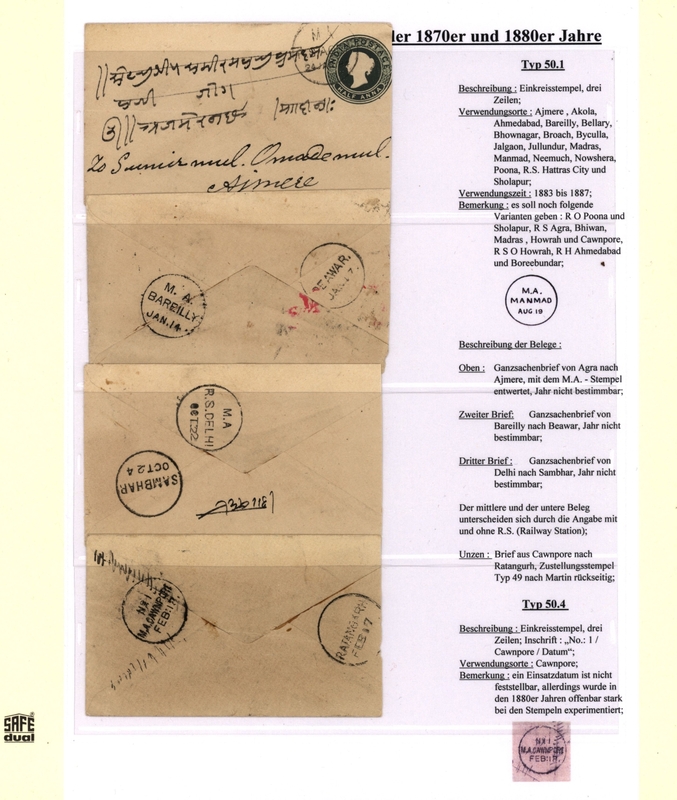 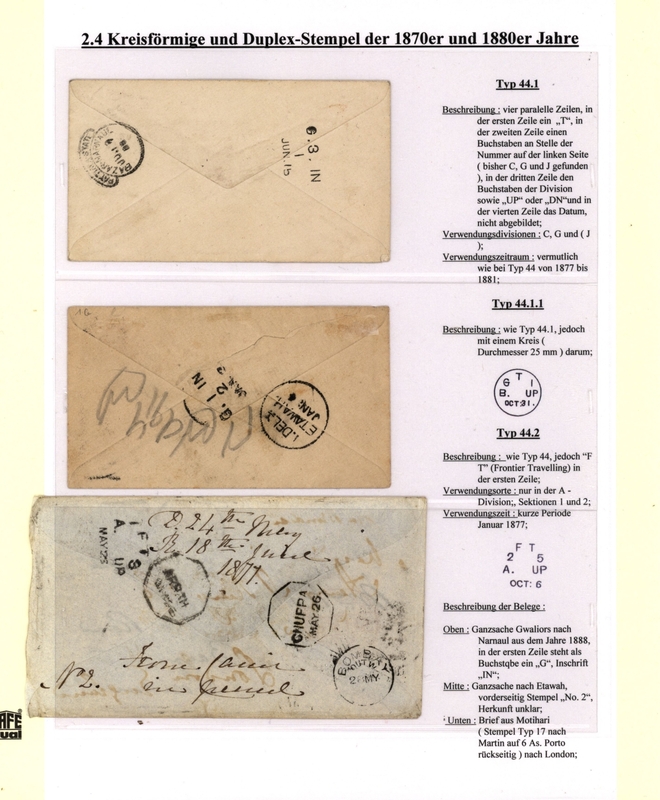 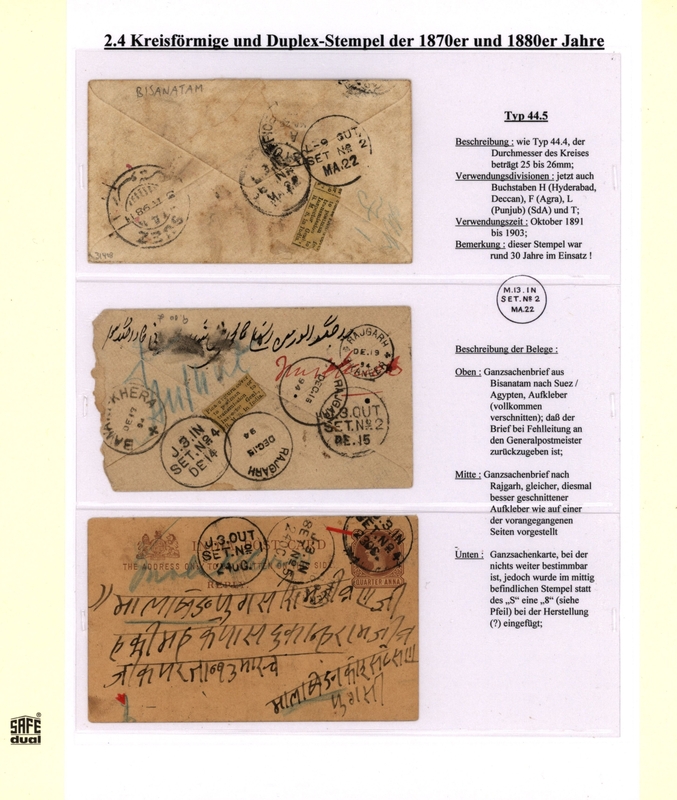 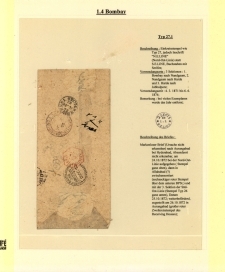 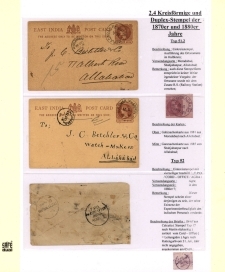 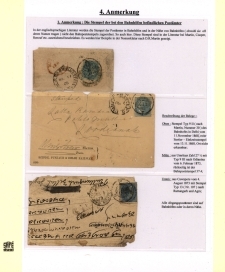 It contains the various cancellations of the various provinces, the more generell ones (planned for use in all parts of India), the markings and other handstamps, including all the (actually) unique or extremely rare items, a number of scarce early MISSENT TO ... and other handstamps, and many more.